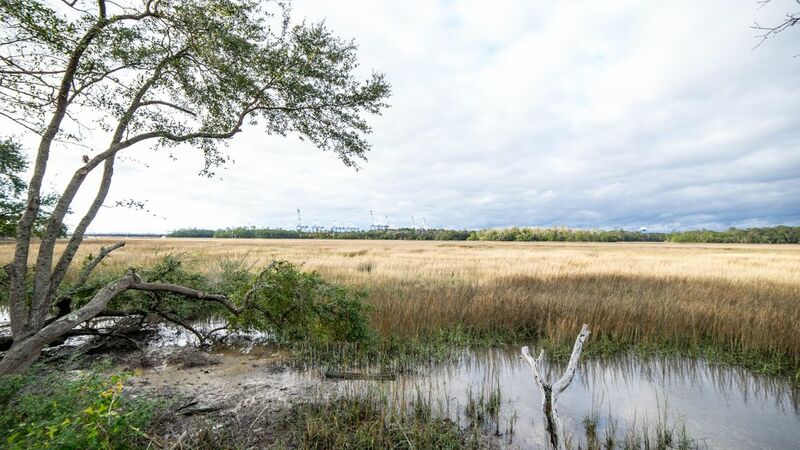 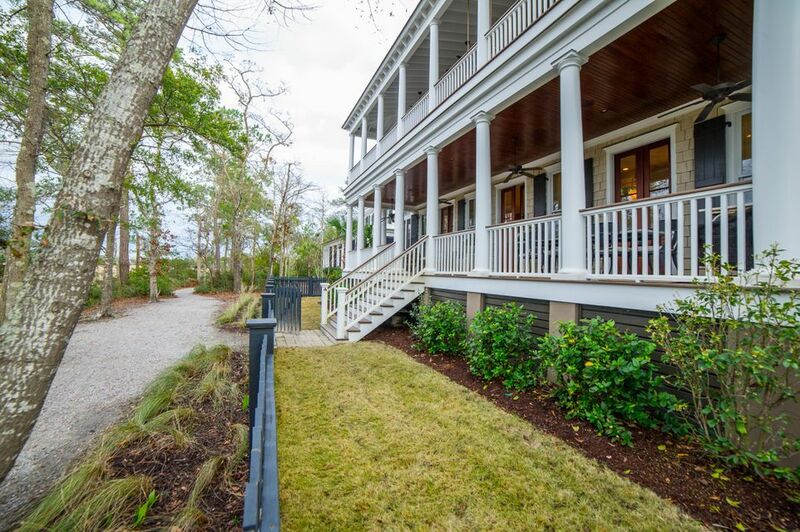 Absolutely stunning custom home overlooking the marsh on Hobcaw Creek off the Wando River in the award winning I'On neighborhood. 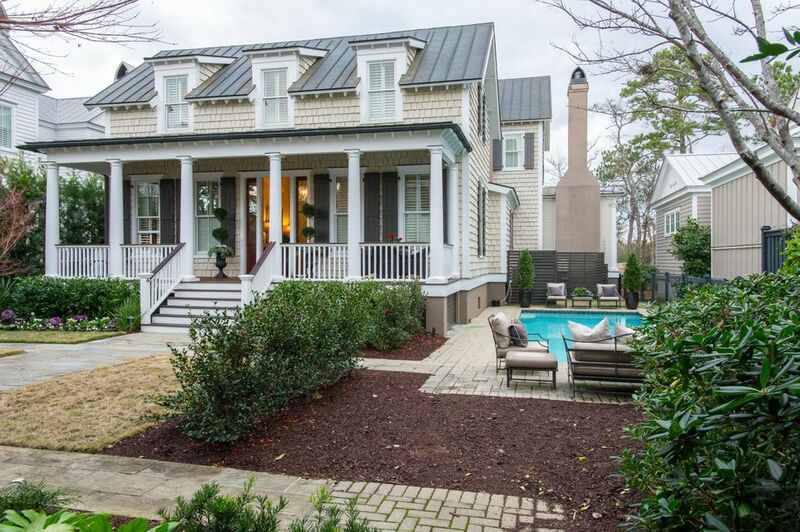 No expense was spared in the design and construction of this gorgeous home, from the standing seam copper roof, stacked stone fireplace, shiplap walls, solid mahogany exterior doors and hand sawn cedar shake siding. 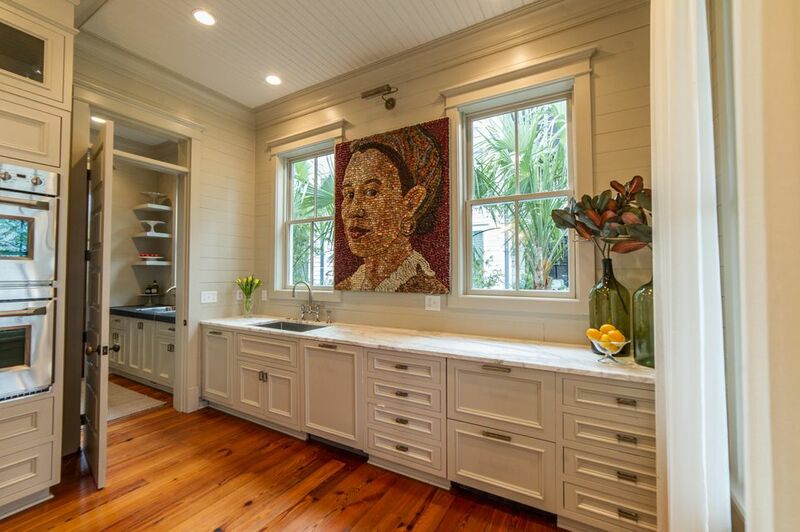 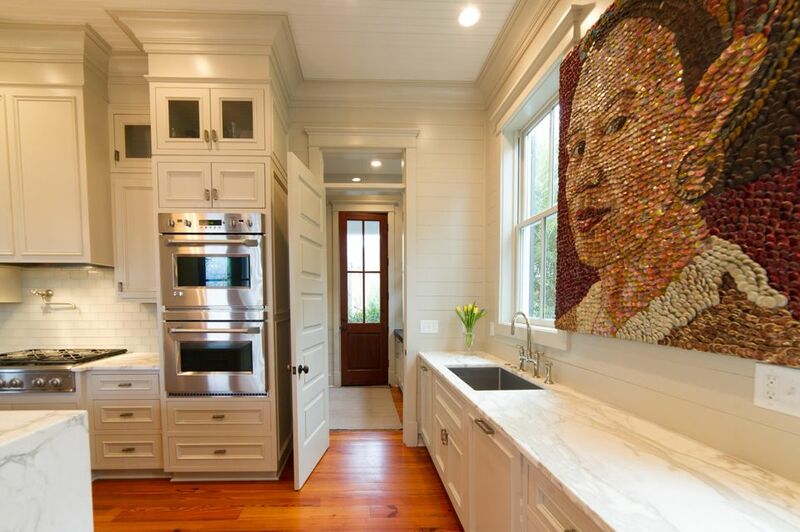 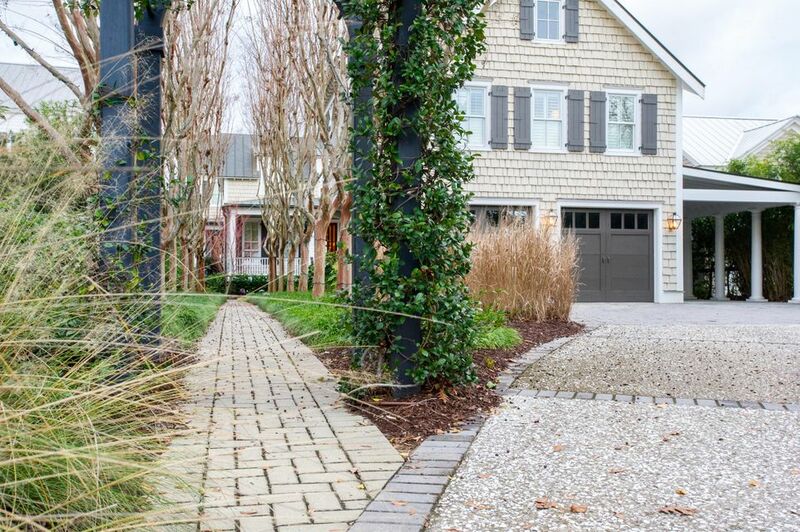 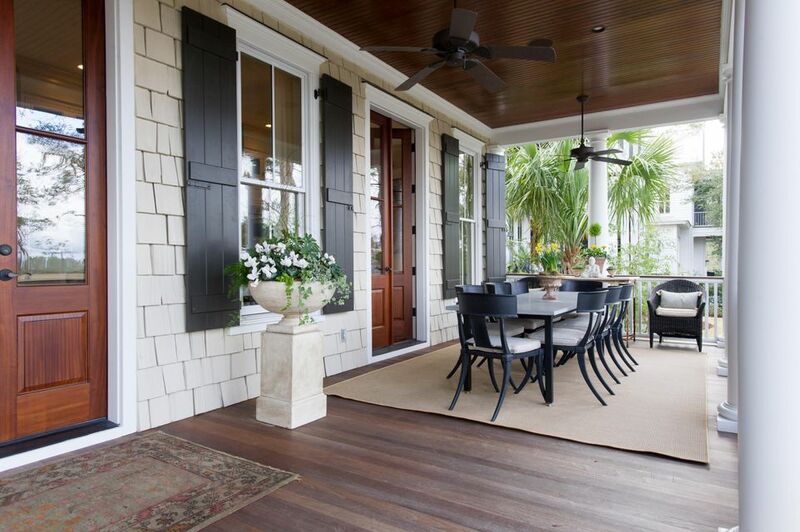 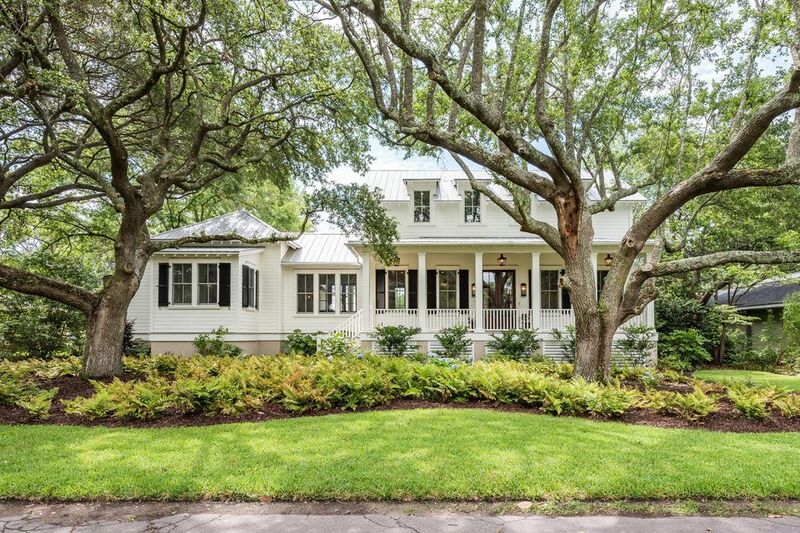 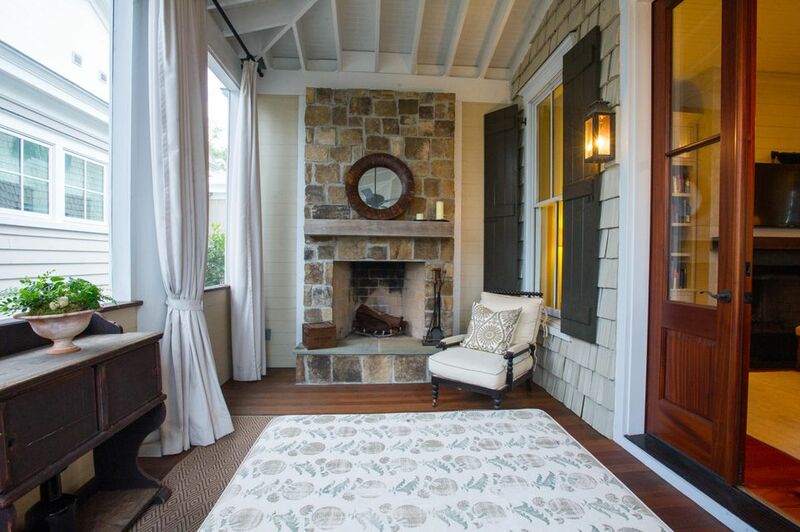 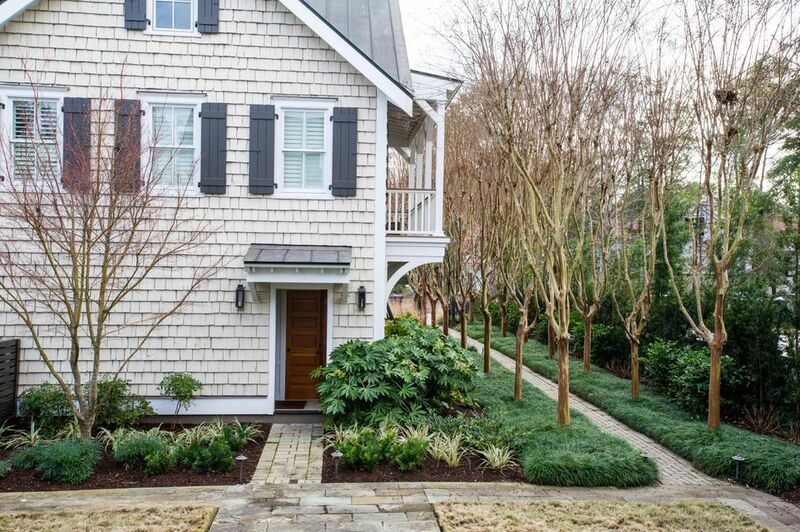 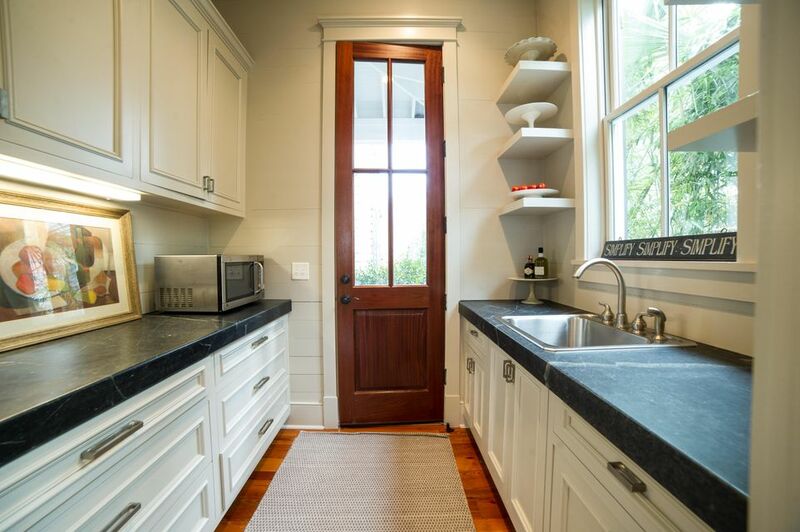 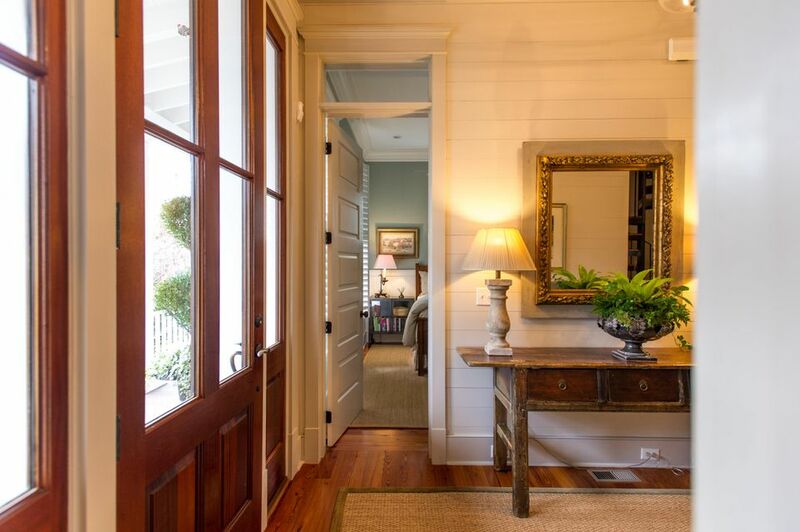 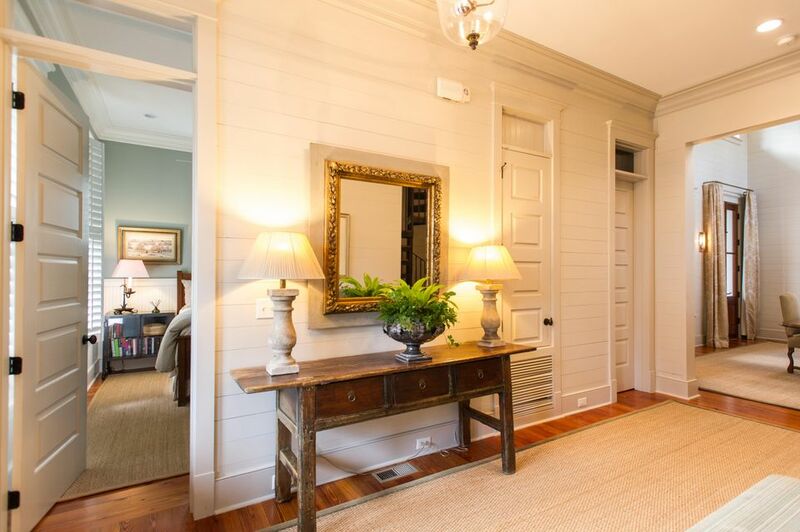 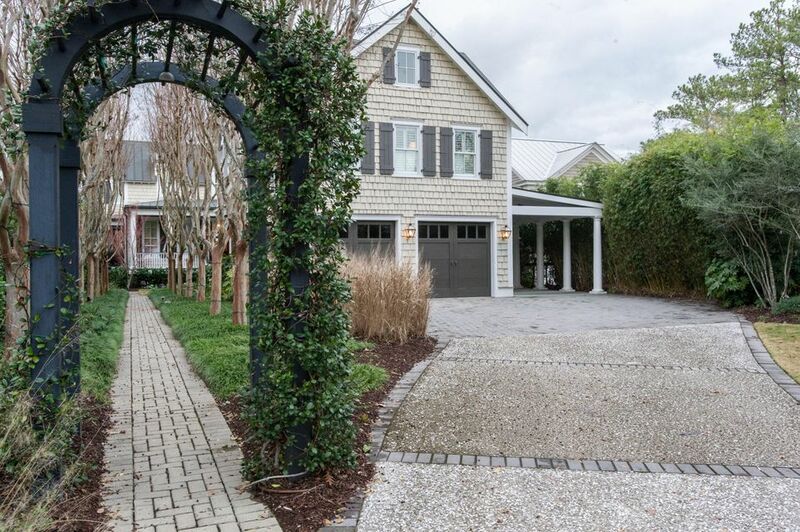 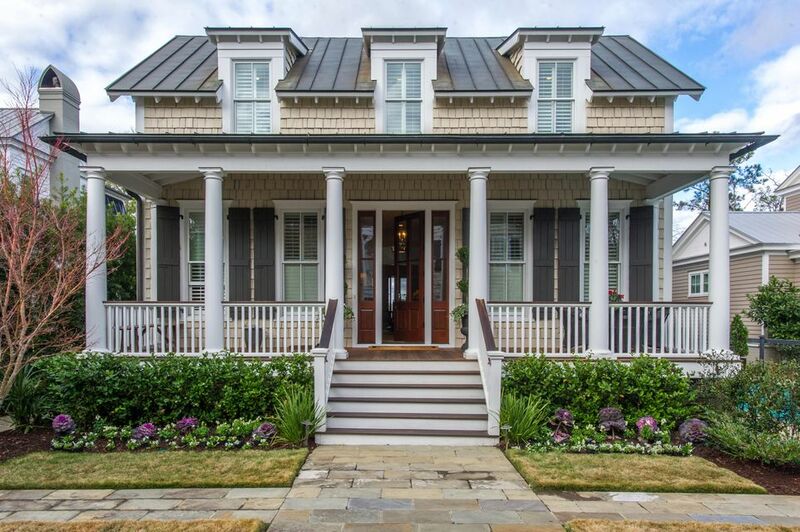 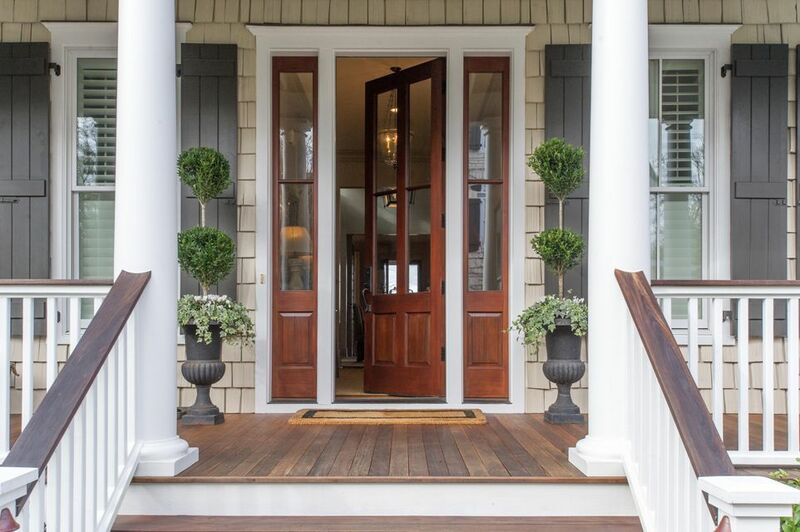 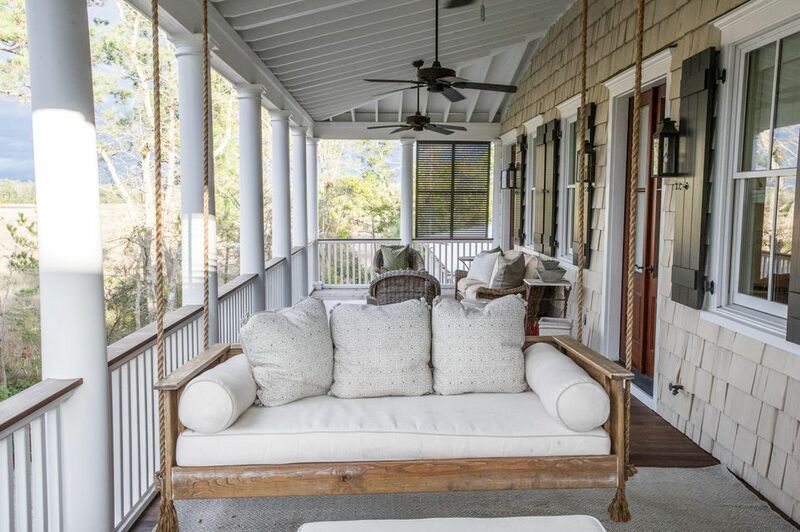 Enter the property through a stunning natural archway of trees and lush landscaping, all beautifully designed and implemented by Charleston's own renowned landscape architect, Sheila Wertimer. 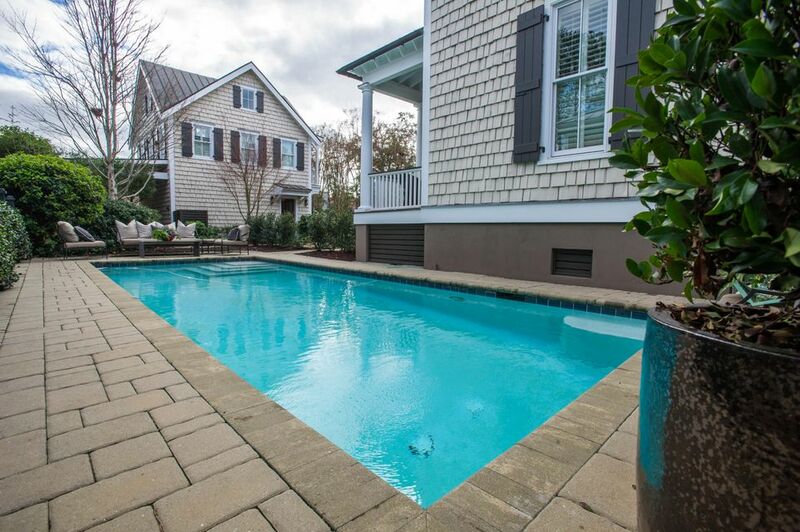 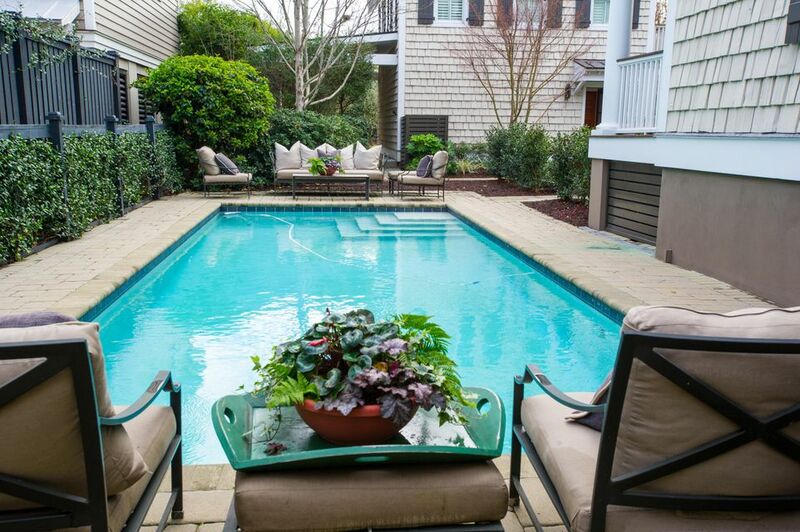 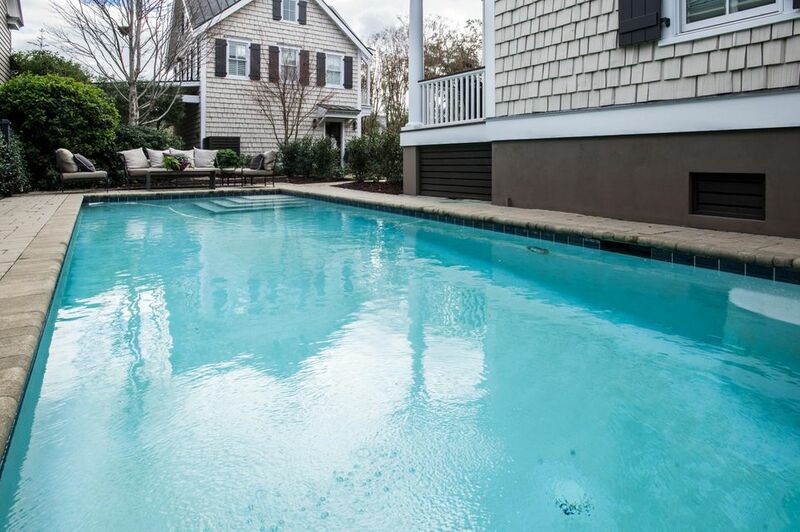 A beautiful heated pool, blue stone pathways and lush yard compliment the outdoor space. 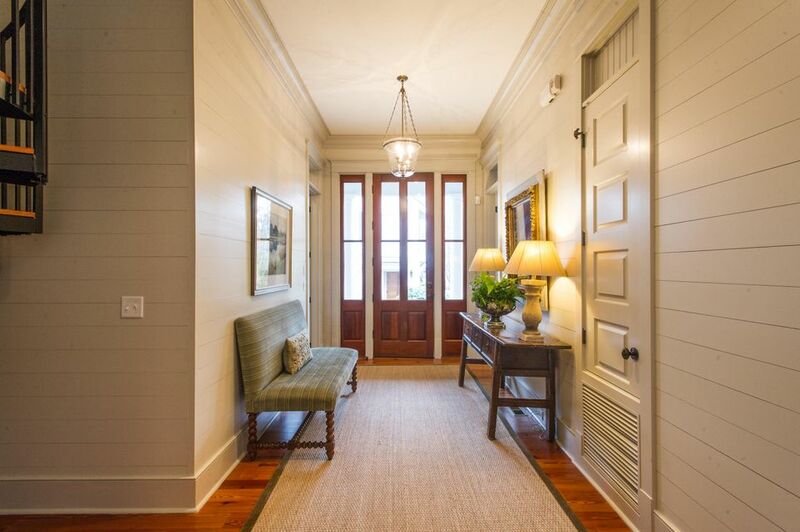 Once in the foyer of the home, you are greeted by gleaming antique heart pine flooring, which is found throughout the house, and a dramatic two-story dining room with gorgeous custom woodwork. 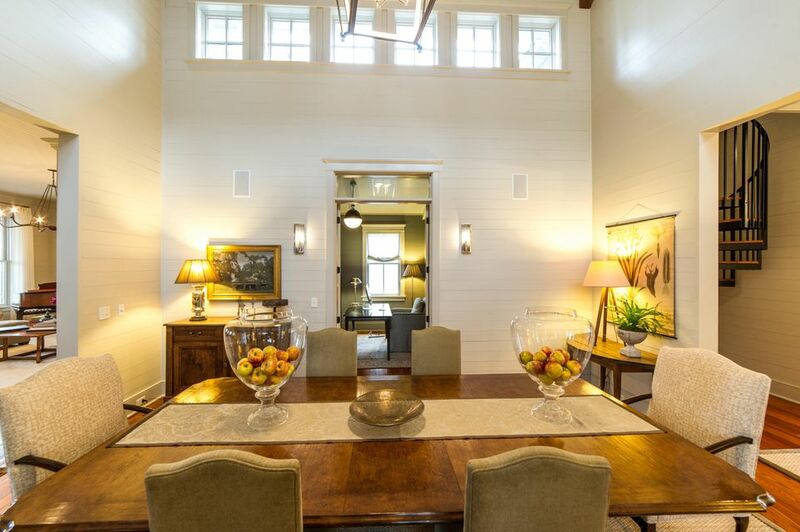 In addition to the dining room, the main floor of the home consists of a first floor guest bedroom with private bath, a cozy den/office with fireplace and a generously proportioned living room with fireplace and custom built-ins. 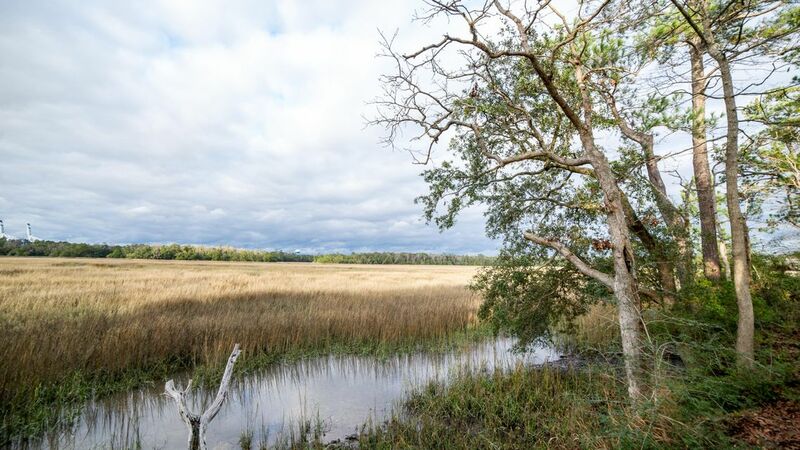 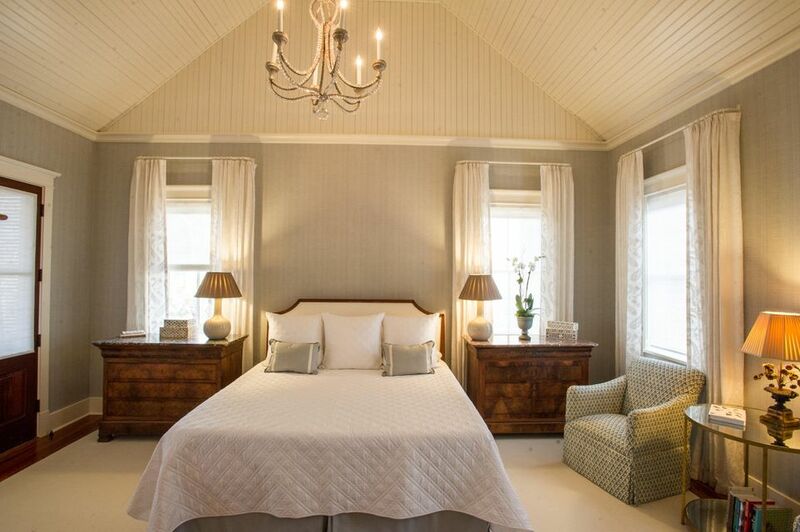 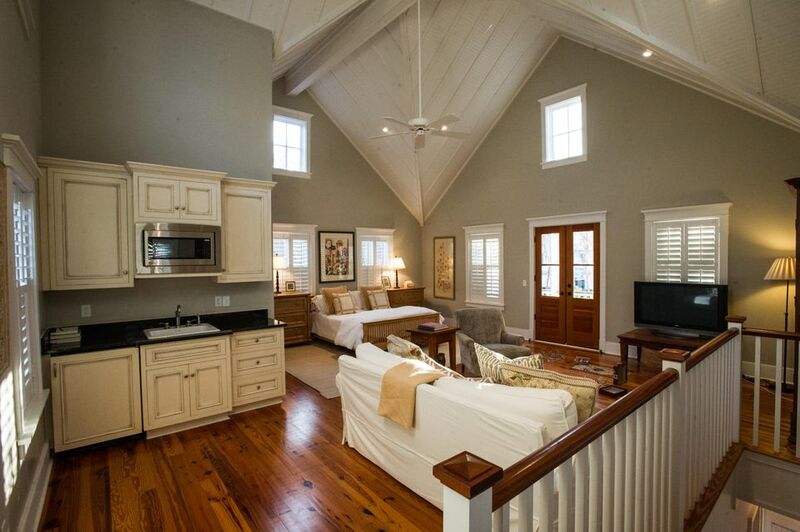 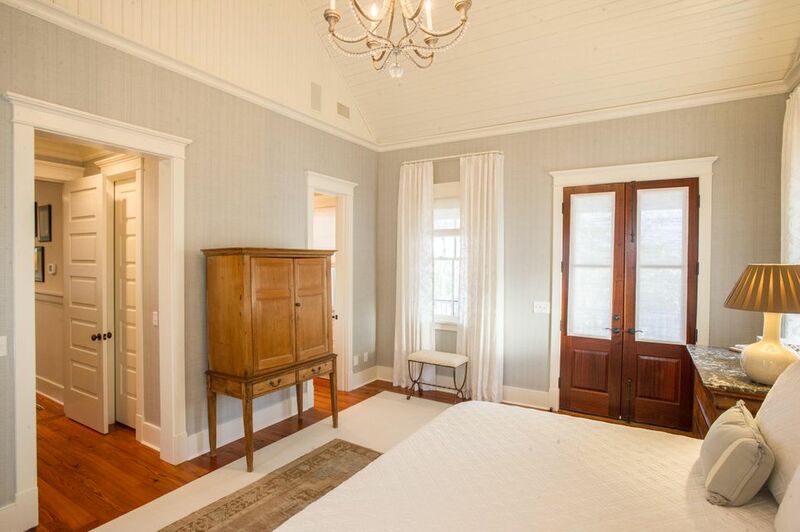 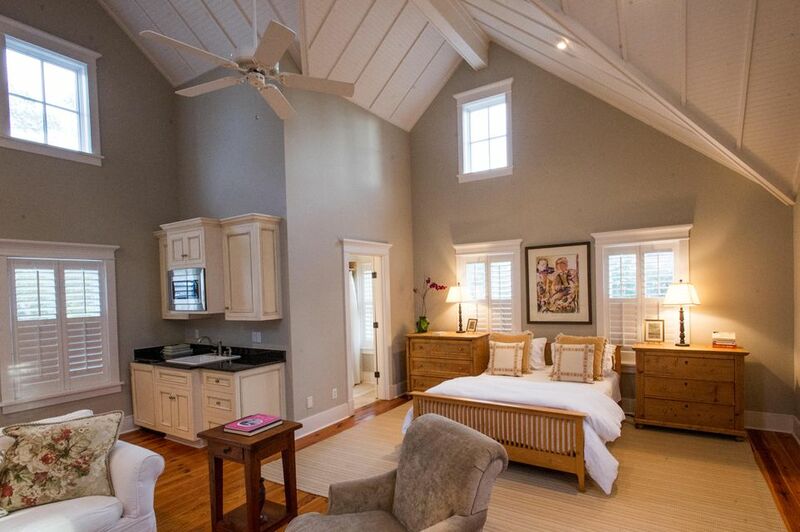 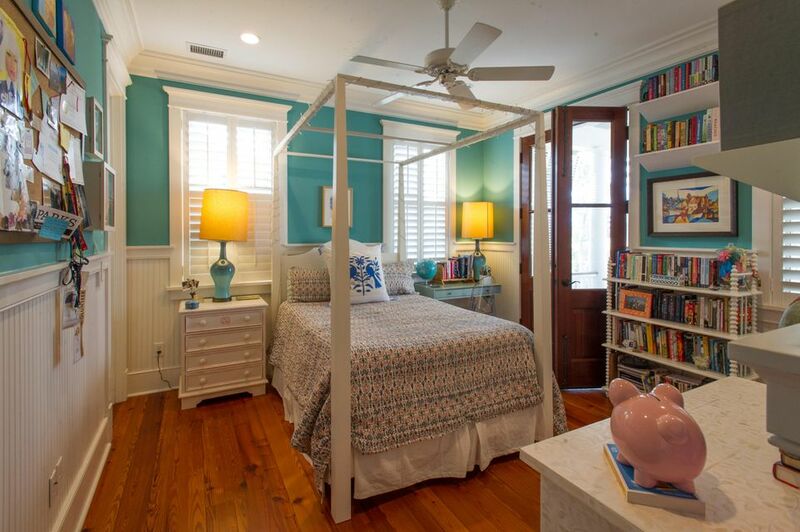 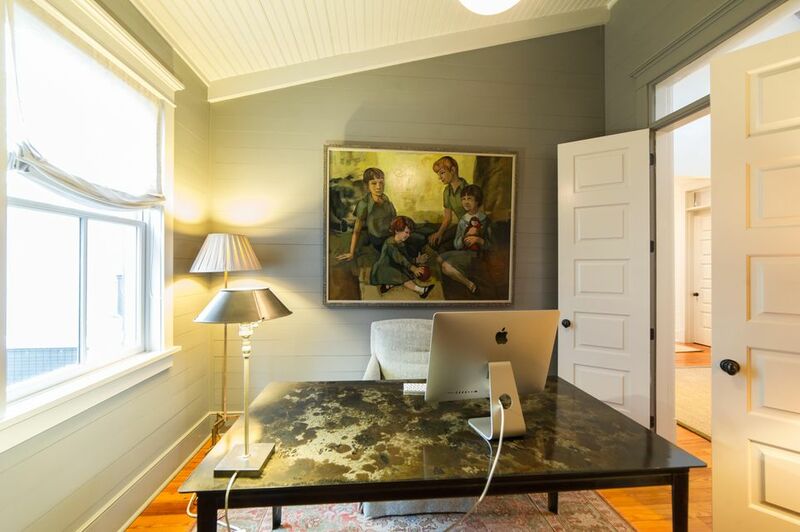 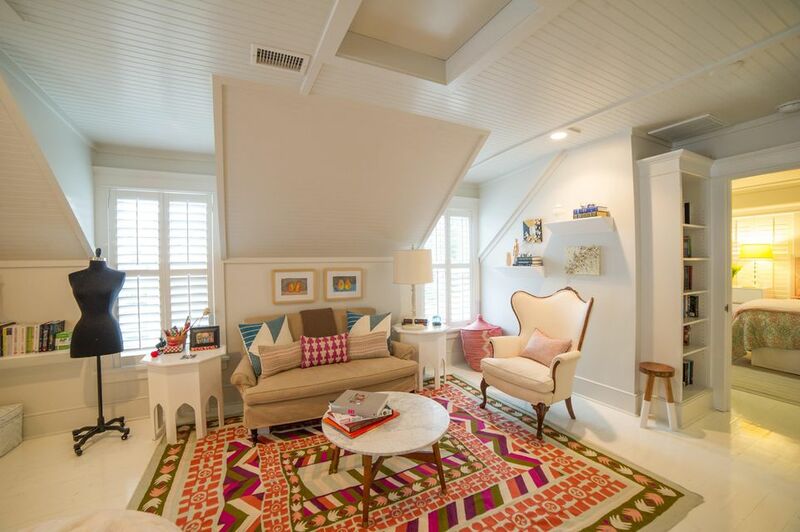 This gorgeous room takes full advantage of the straight on views of the marsh and Hobcaw Creek. 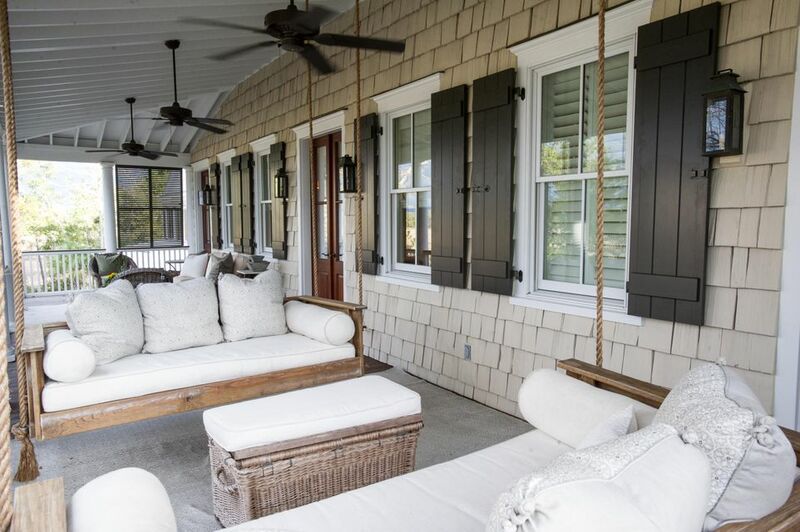 Off the living room is a cozy screened-in porch that works perfectly as an outdoor living room, complete with another beautiful fireplace, this one made of stacked stone. 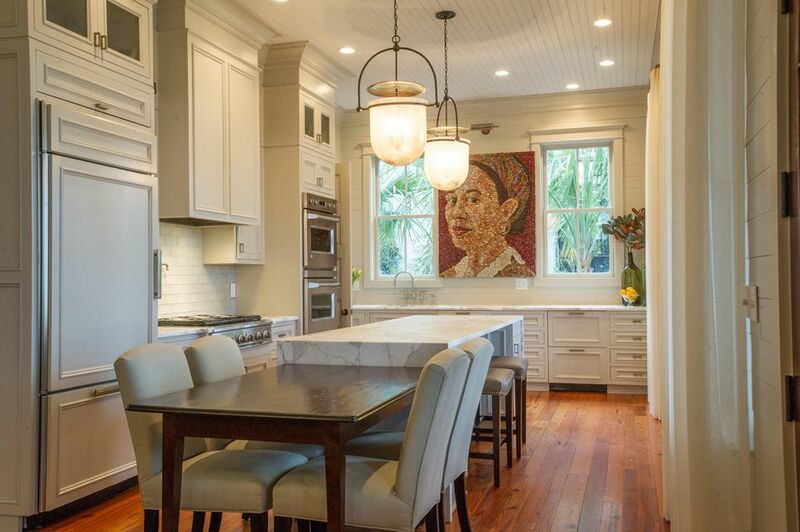 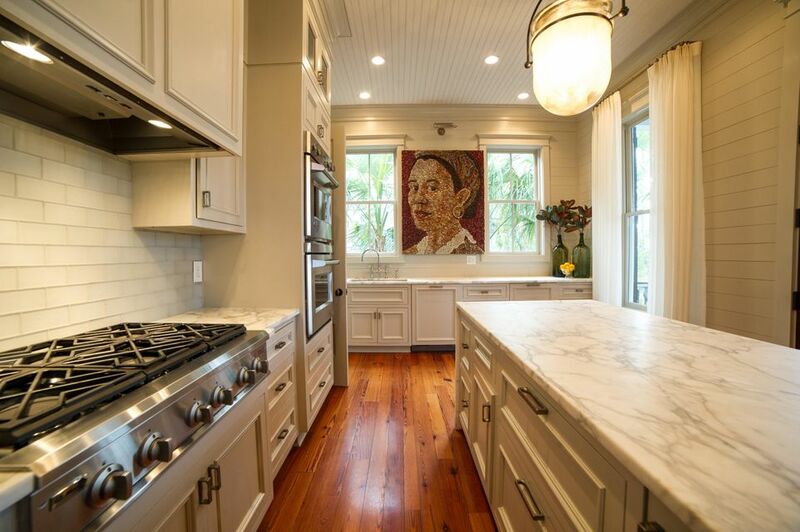 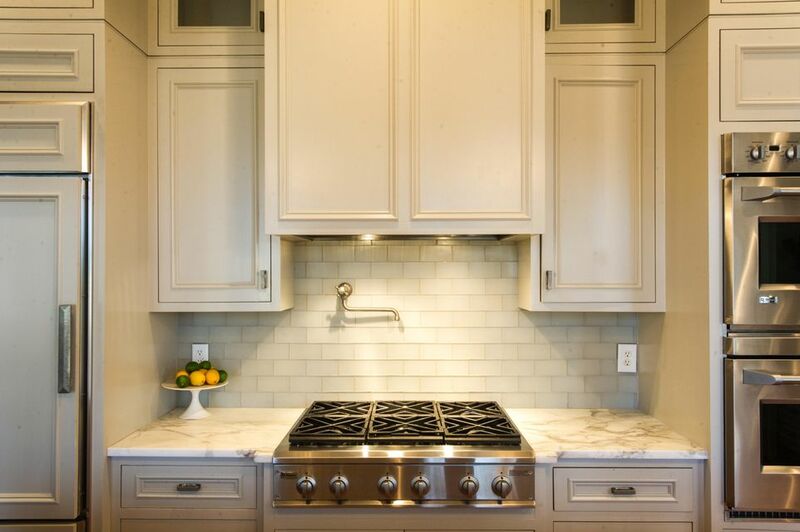 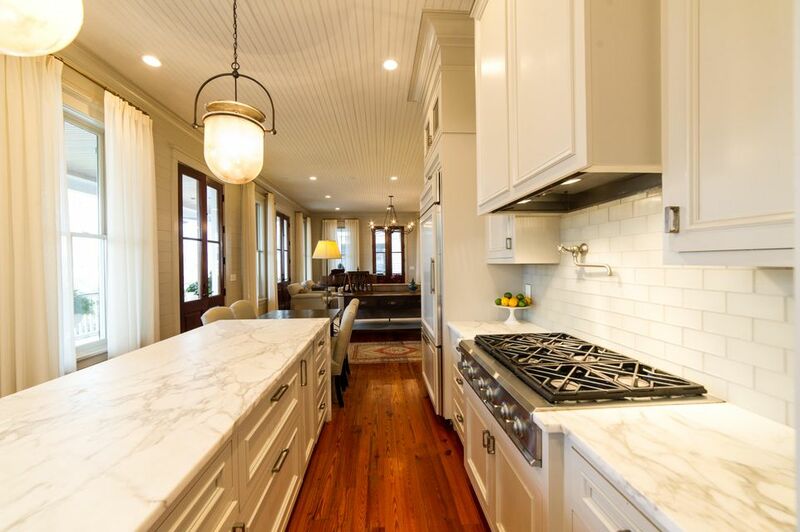 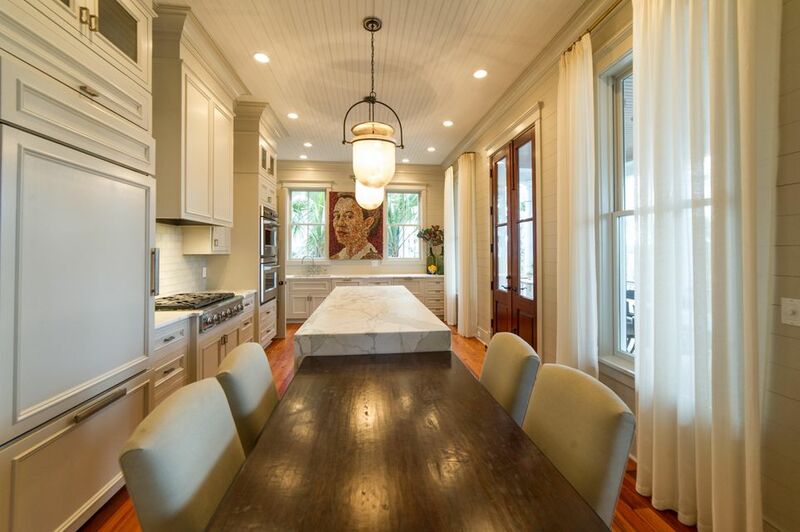 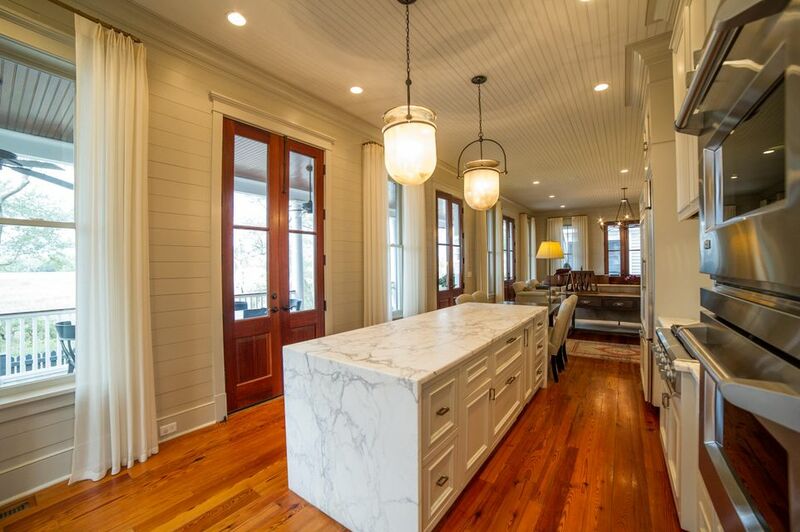 The kitchen was recently remodeled to feature a custom Calcutta Gold marble waterfall island and the addition of a butler's pantry with soap-stone counters and newly installed cabinetry for even more storage. 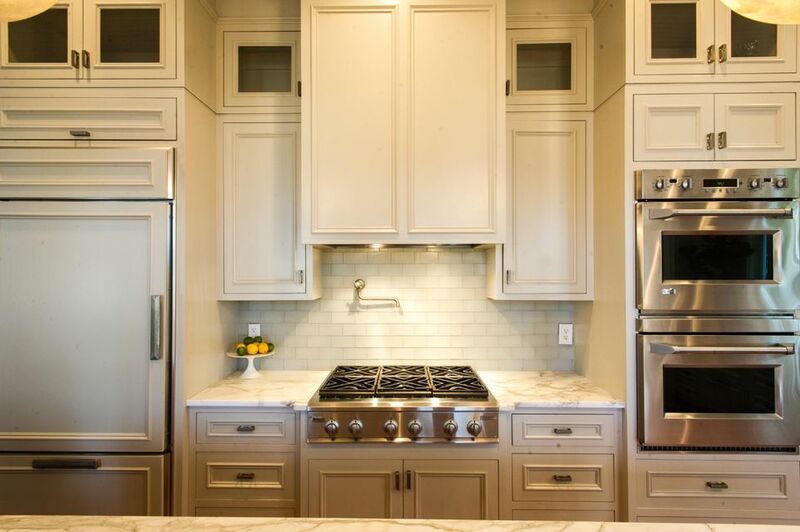 The kitchen also features top of the line appliances including a six burner gas cook top, double oven, microwave, SubZero ice-maker, large refrigerator, double drawer drink refrigerator and warming drawer. 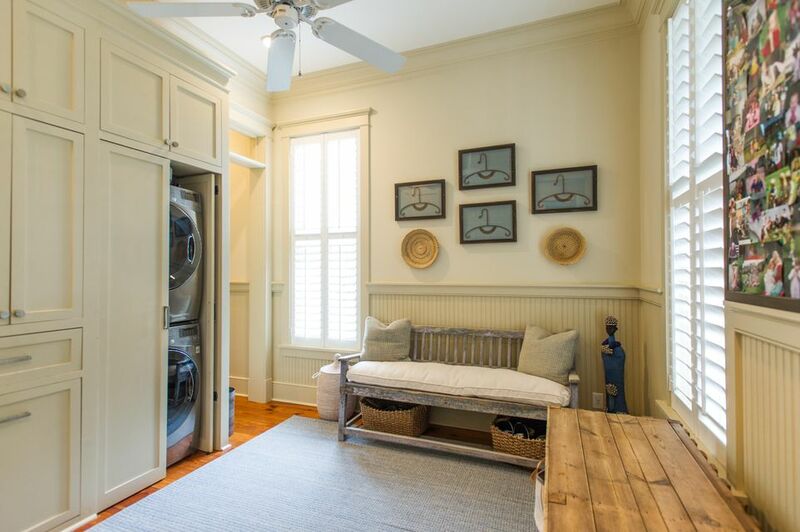 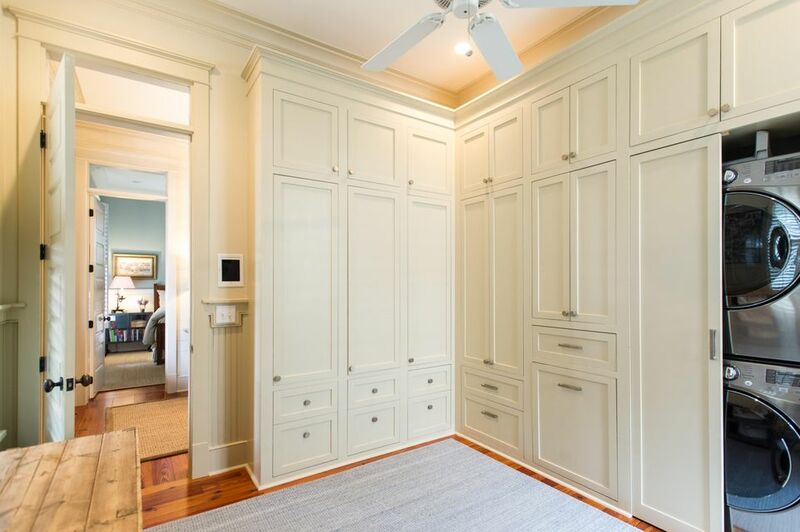 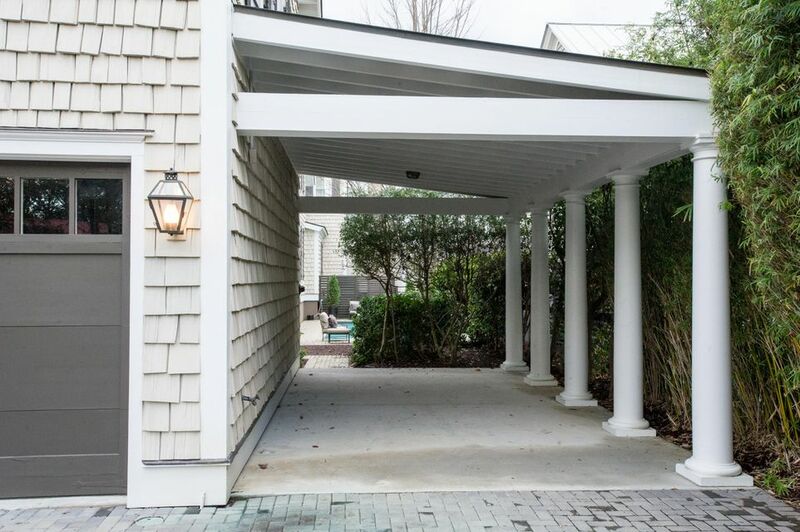 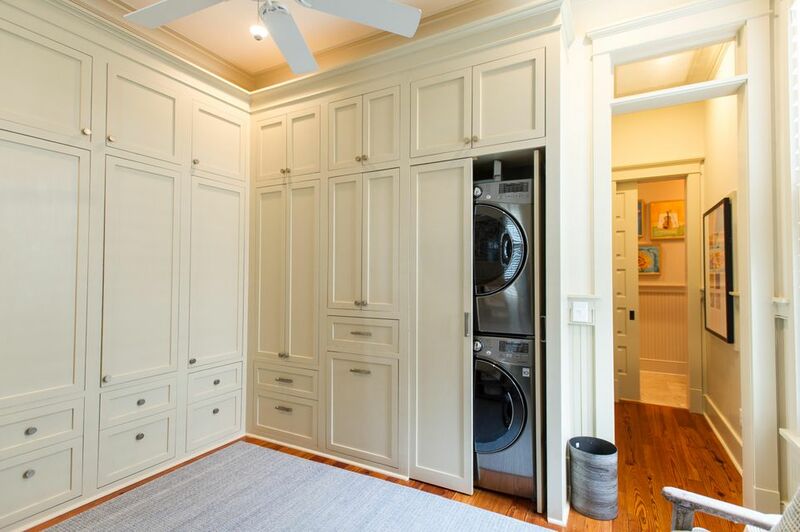 Also conveniently on this floor is a mudroom/laundry room off the entrance with floor-to-ceiling cabinets and a full bath, perfect for family members and guests who are enjoying the pool outside. 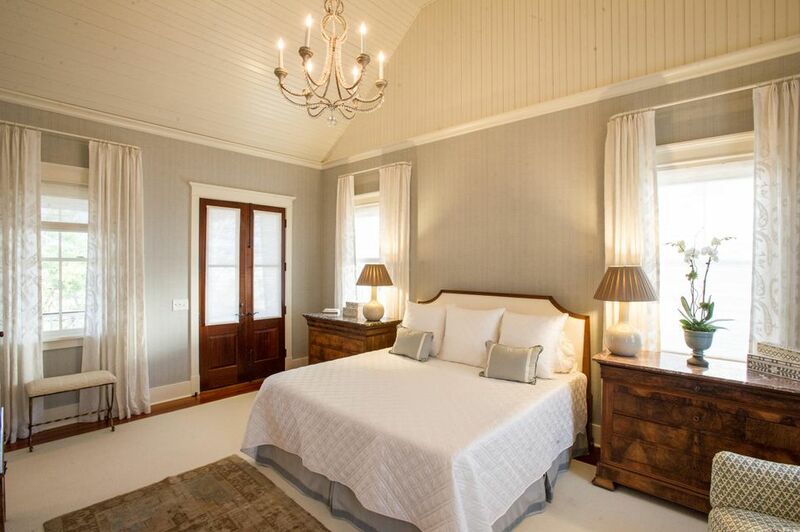 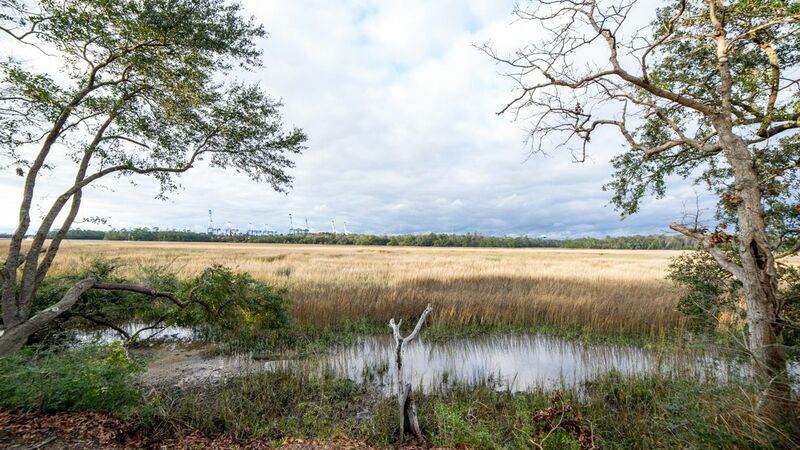 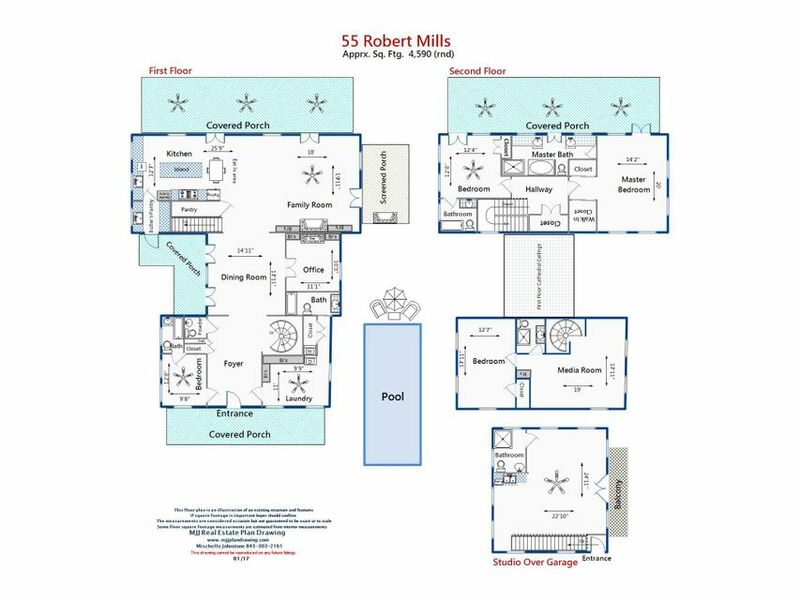 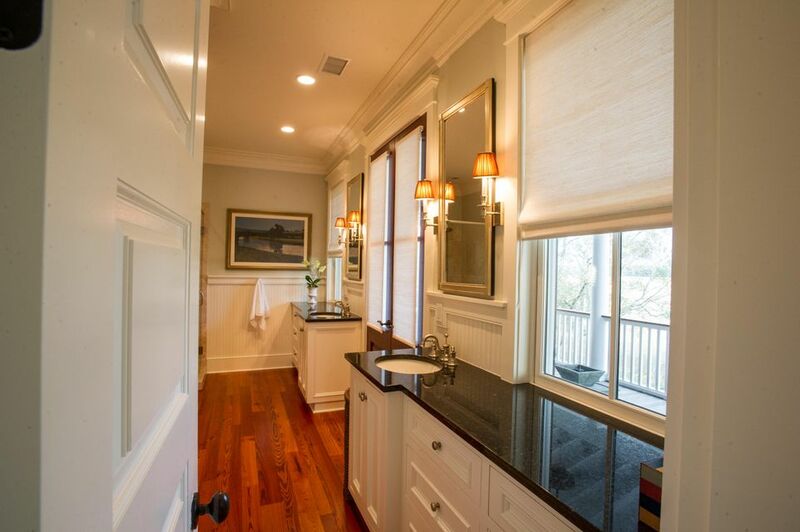 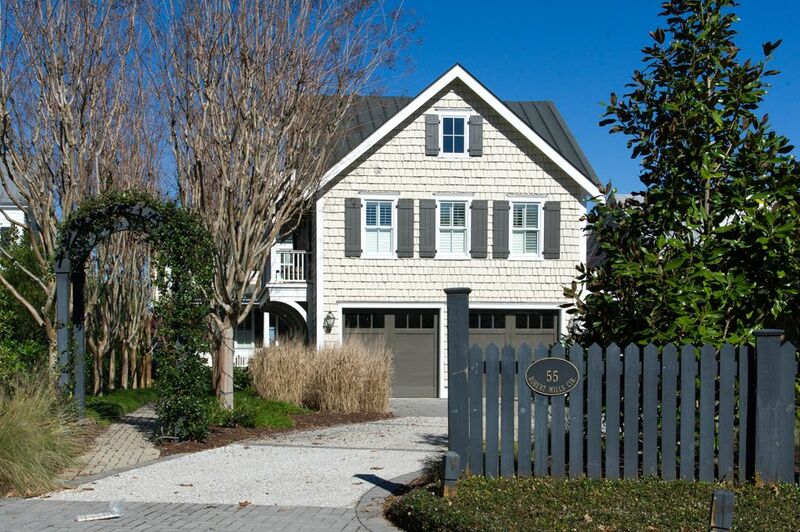 The luxurious master bedroom and master bath suite is located upstairs and overlooks the marsh. 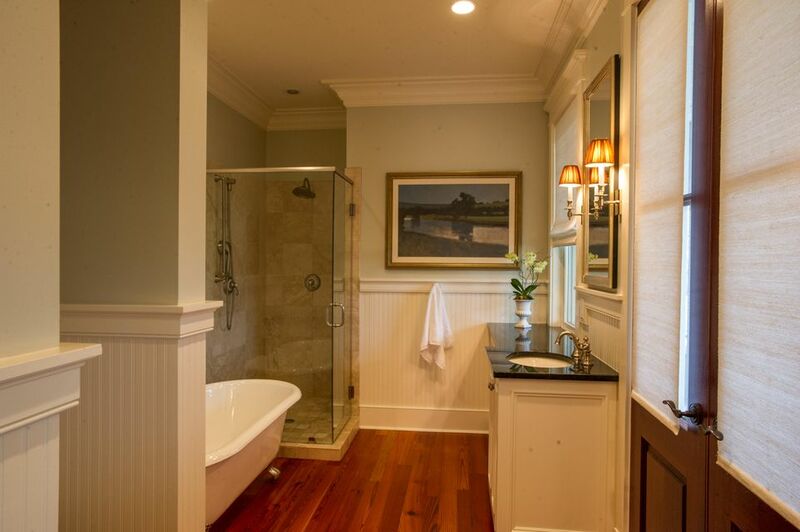 Another bedroom and private bath are also located on this level. 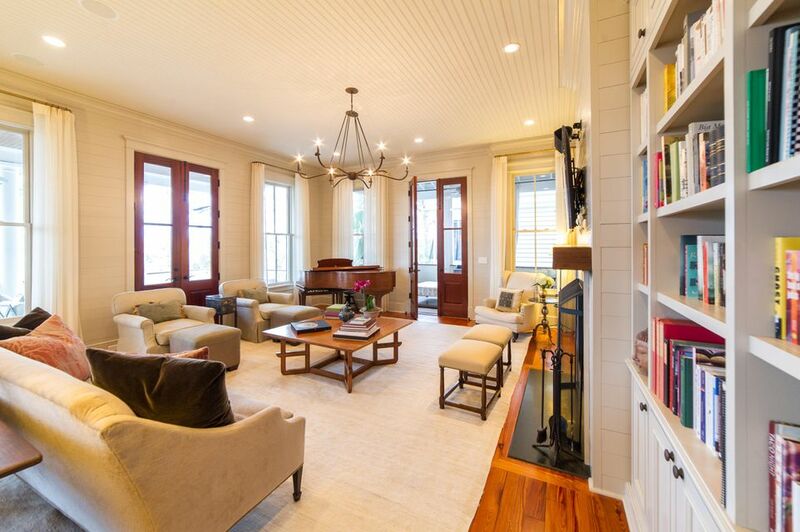 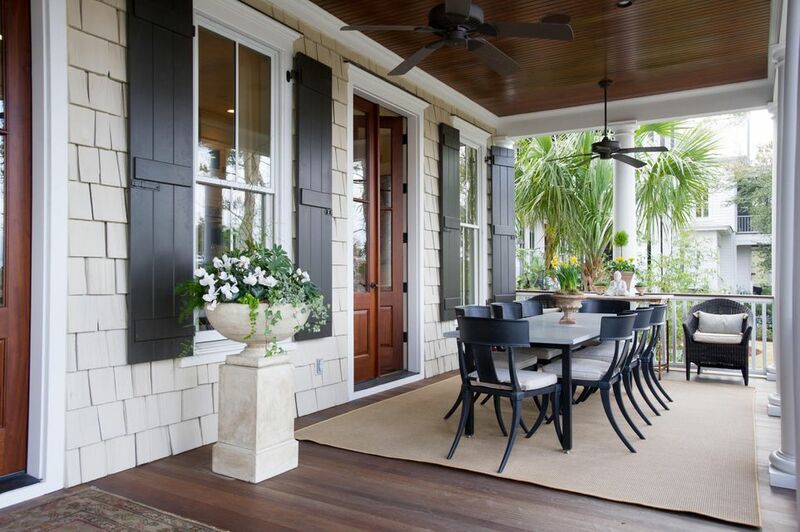 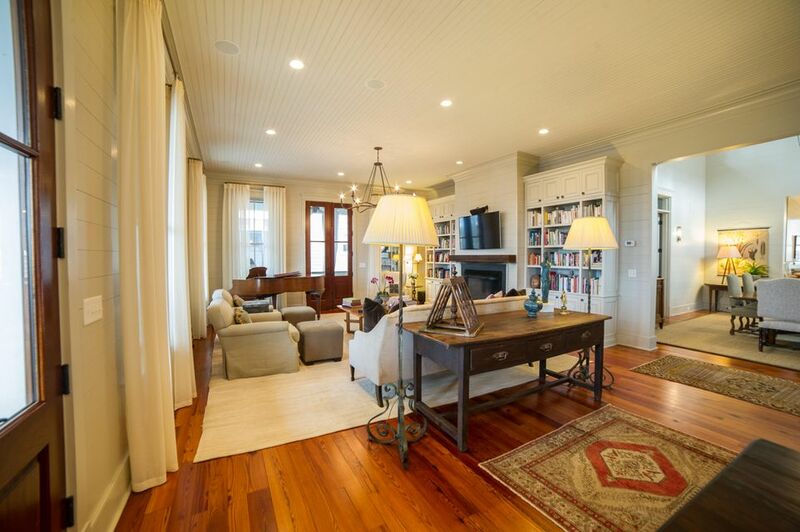 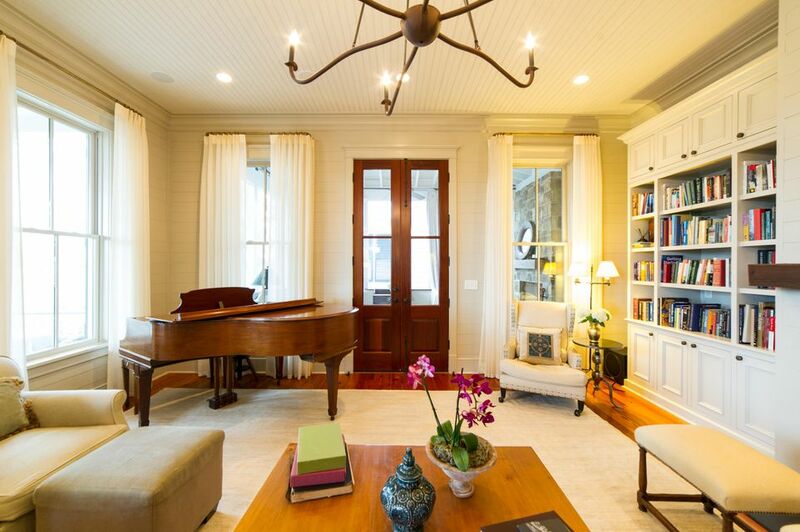 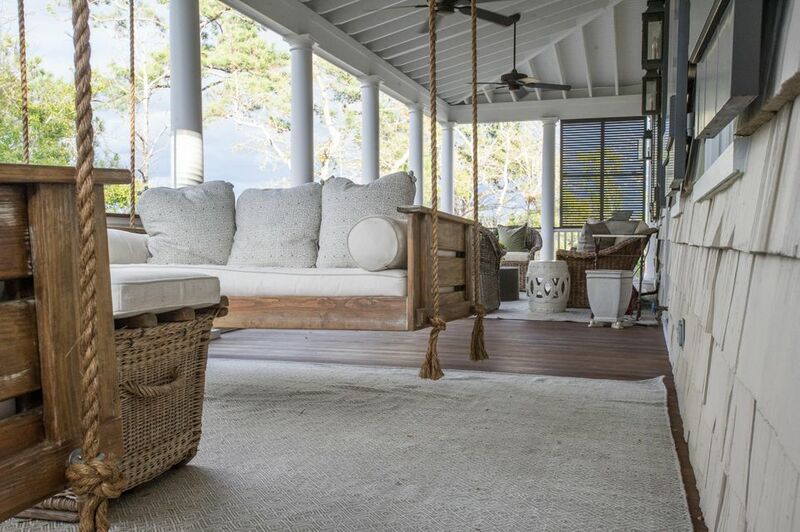 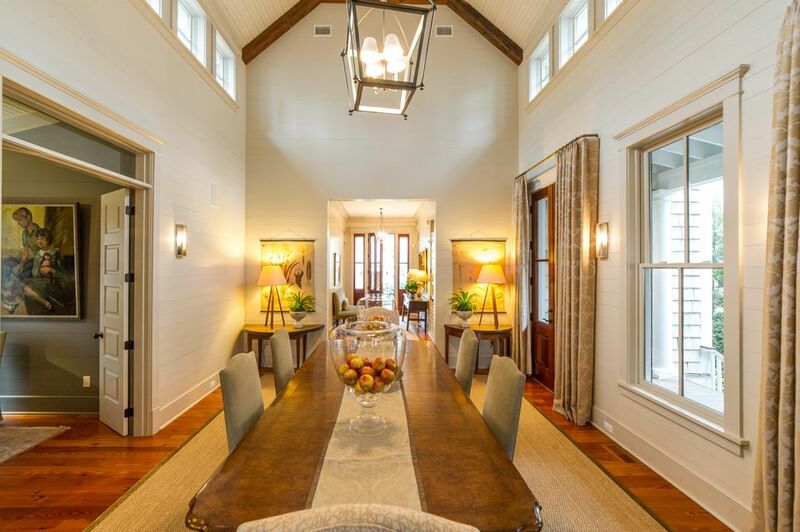 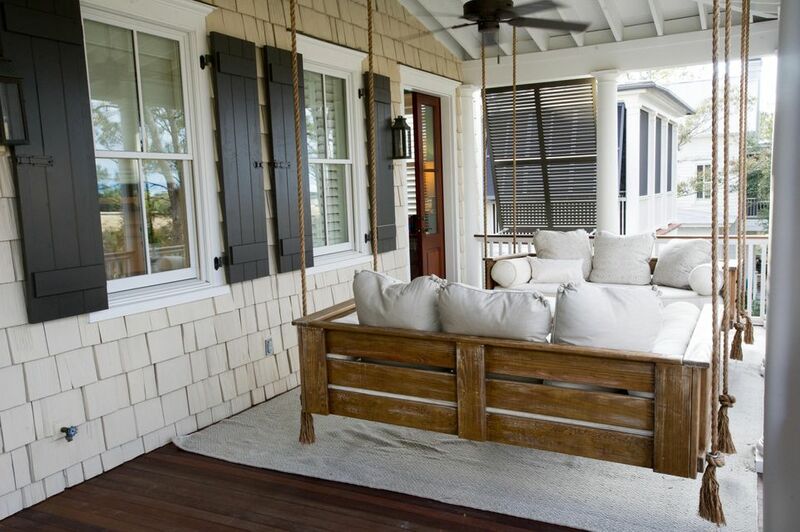 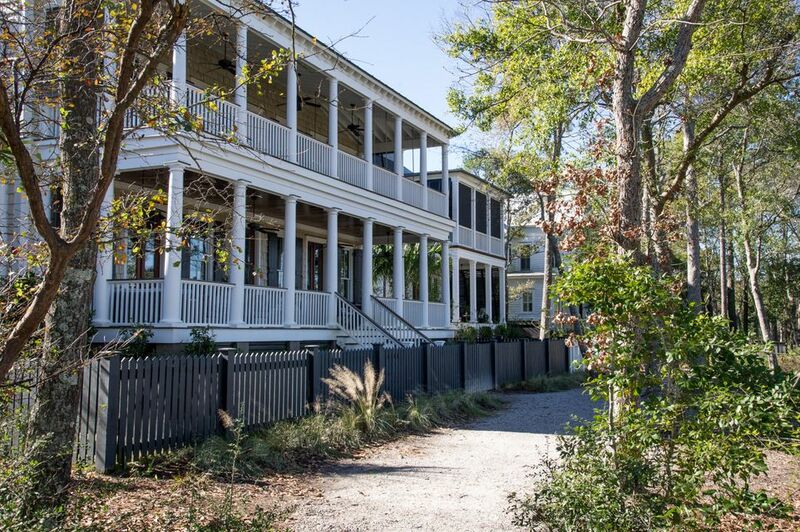 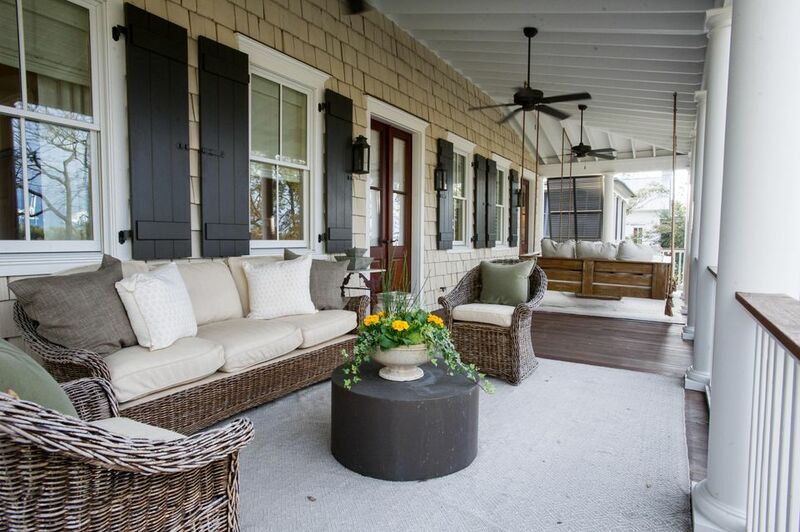 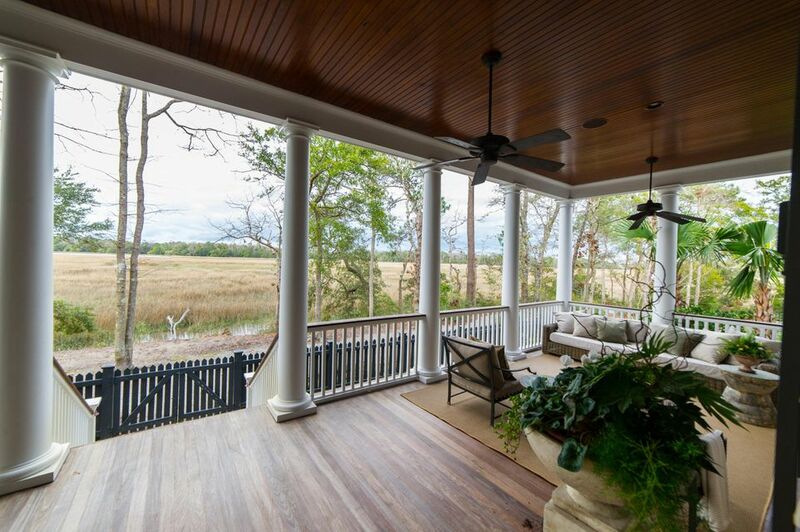 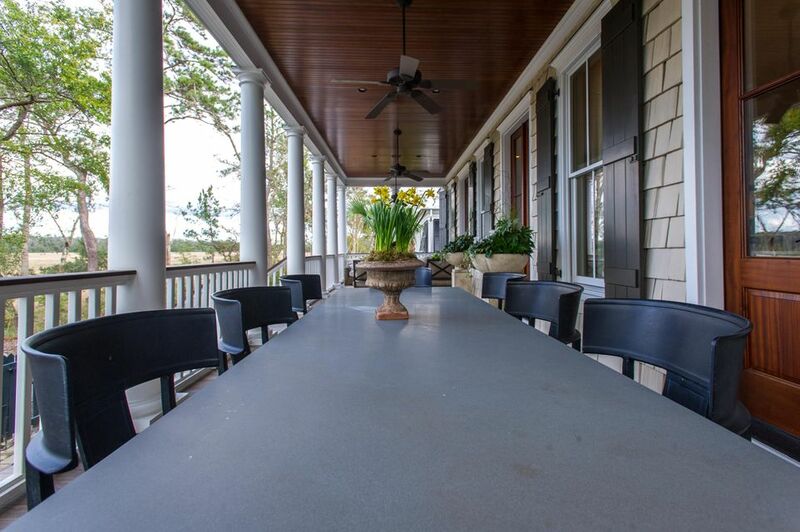 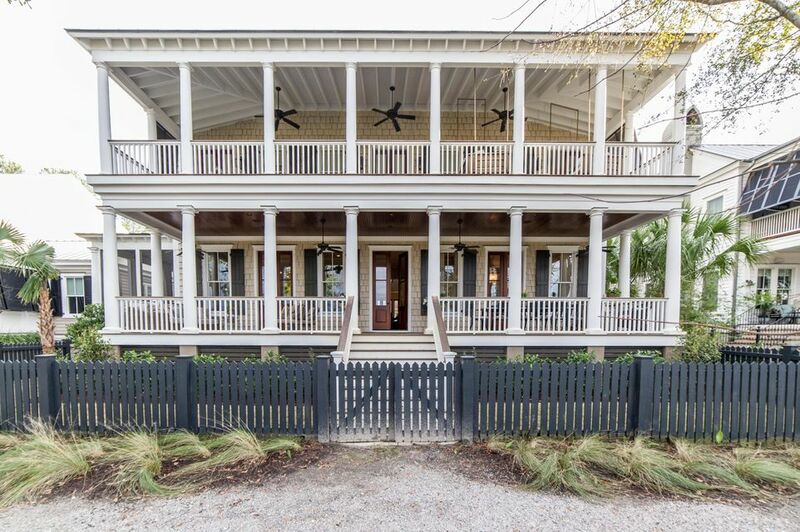 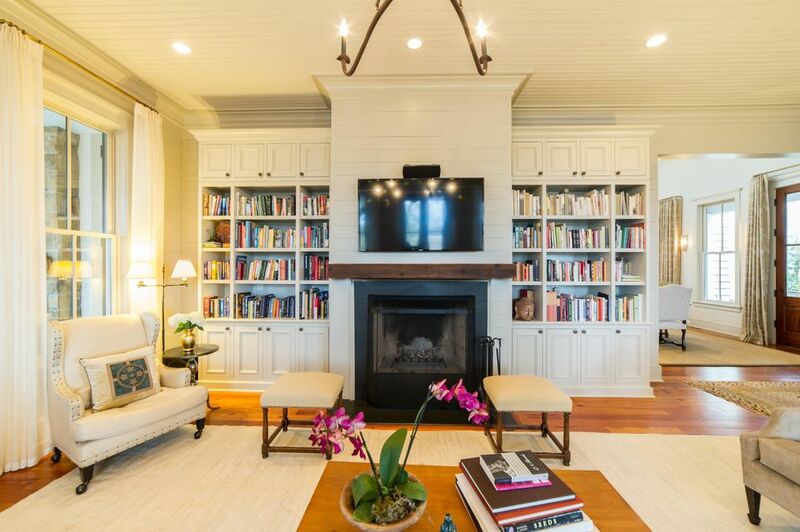 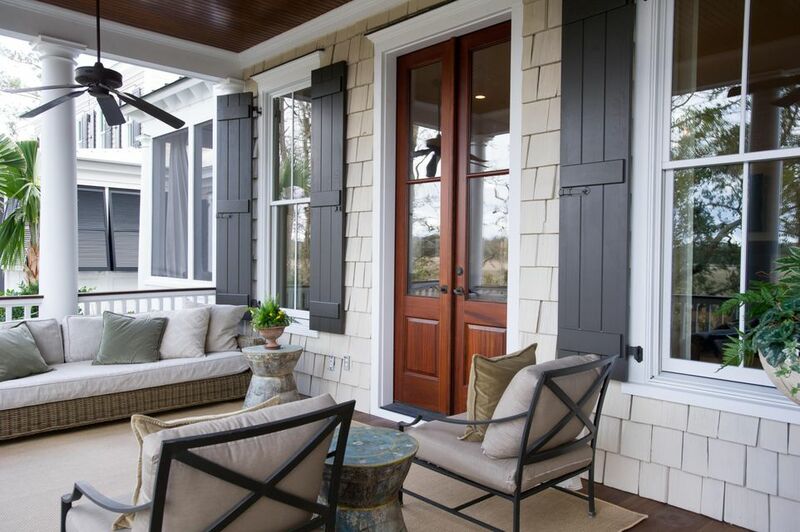 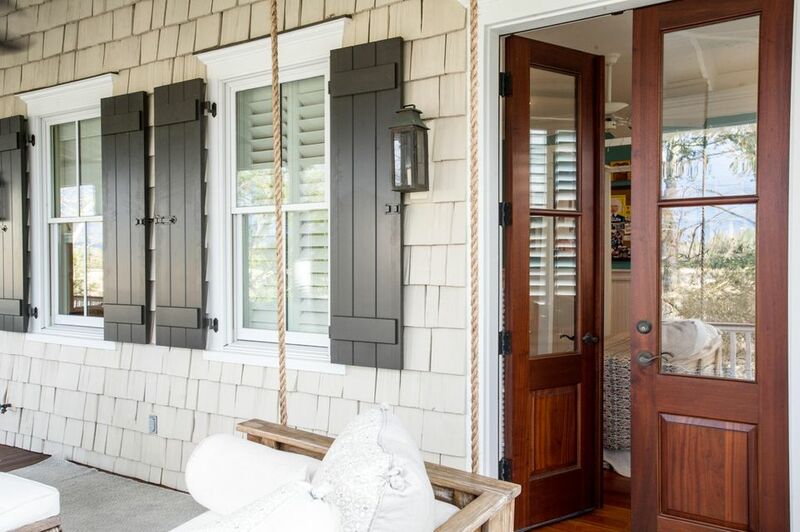 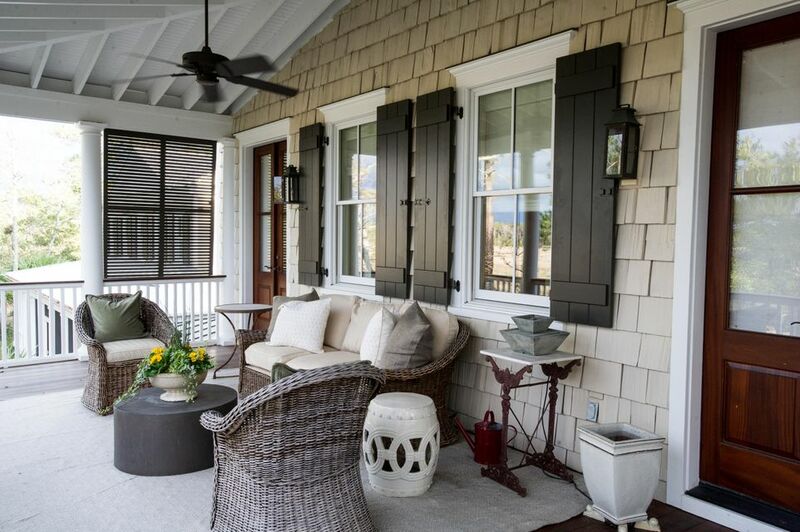 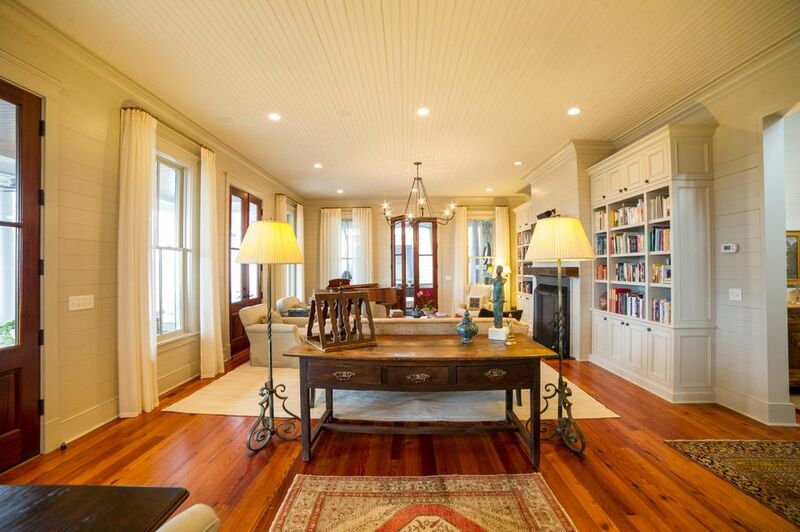 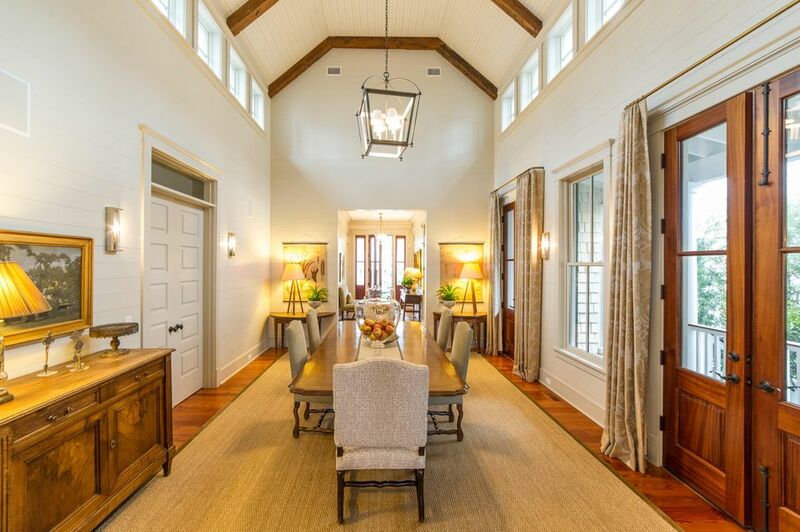 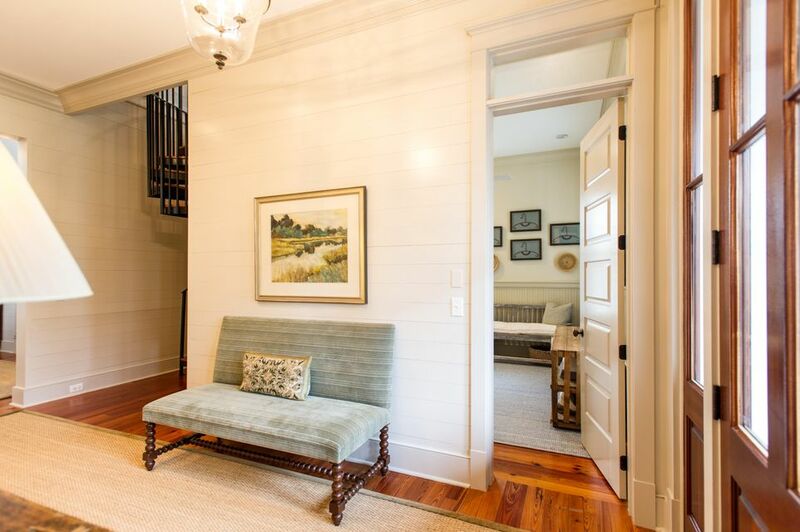 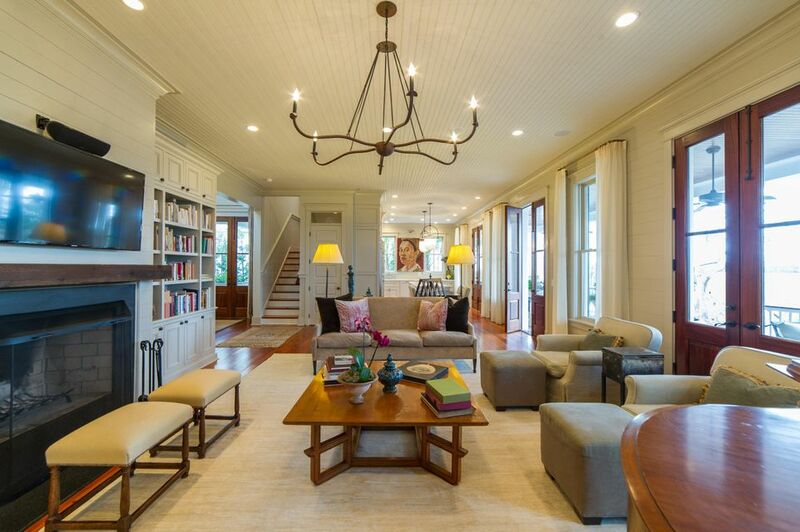 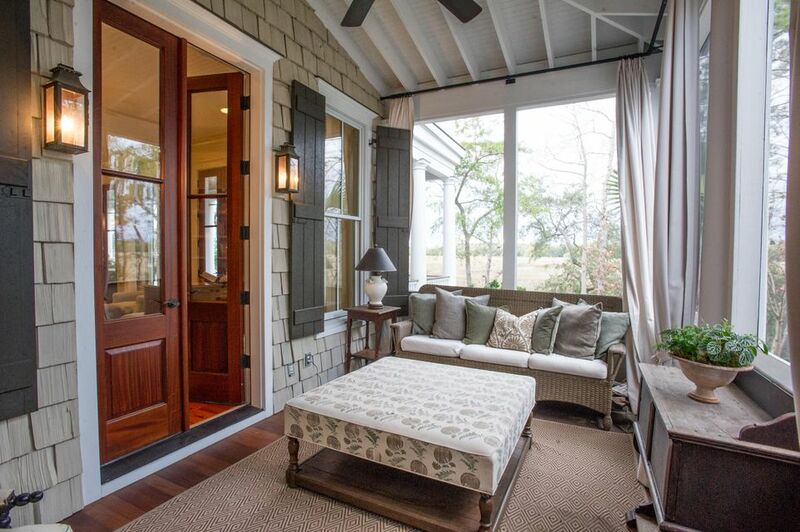 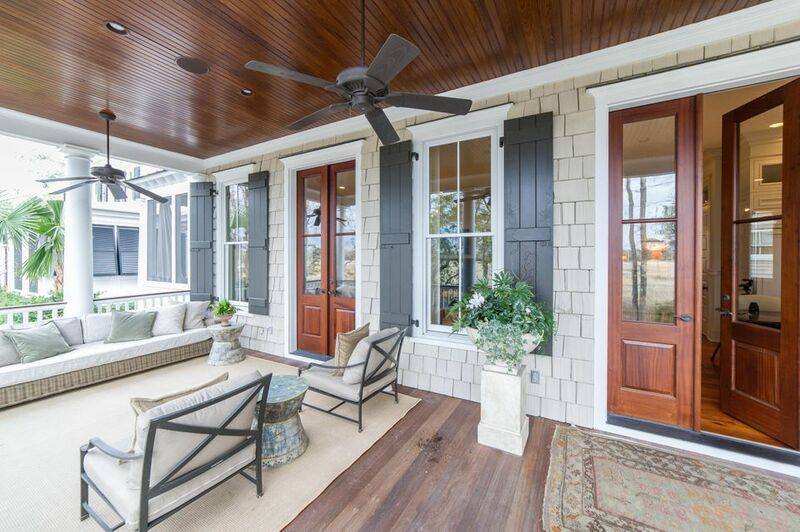 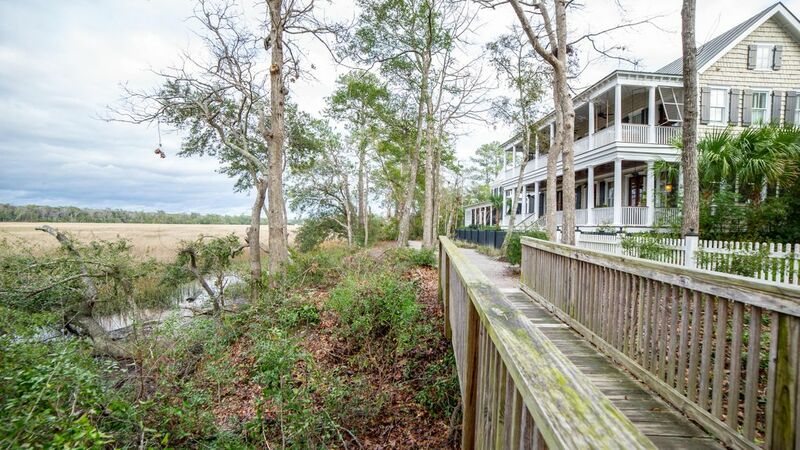 Both of these rooms access the second level of the double stacked porches that overlook the marsh and provide yet another outdoor living area for those lucky enough to live at this stunning property. 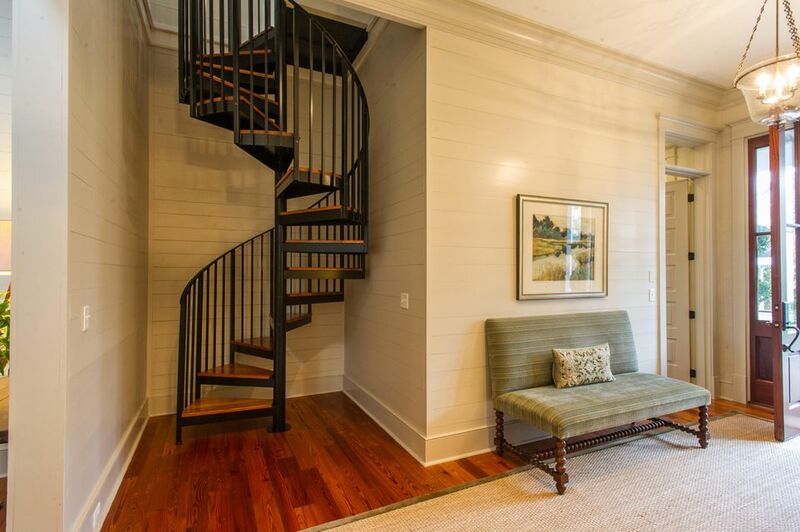 Up a separate, spiral staircase off the foyer is the fourth bedroom and newly installed bath and a great open room that would work well as a media or playroom. 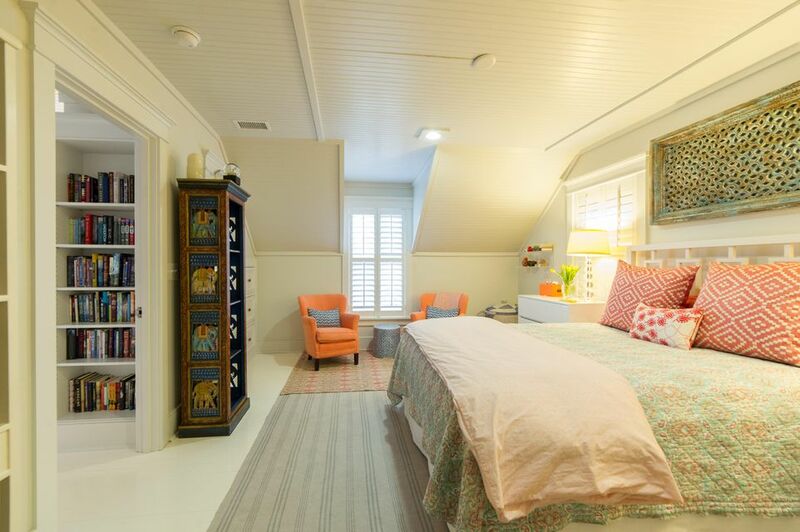 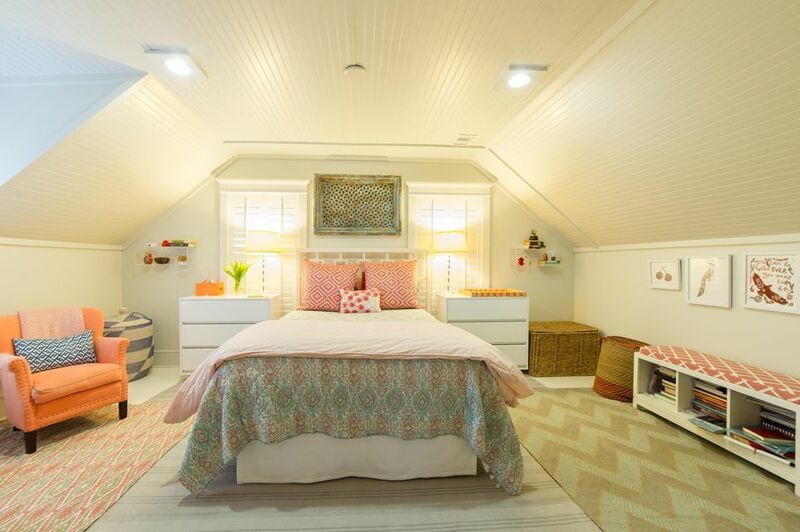 These private quarters are perfect for pre-teens or teens looking to carve out their own space in the house. 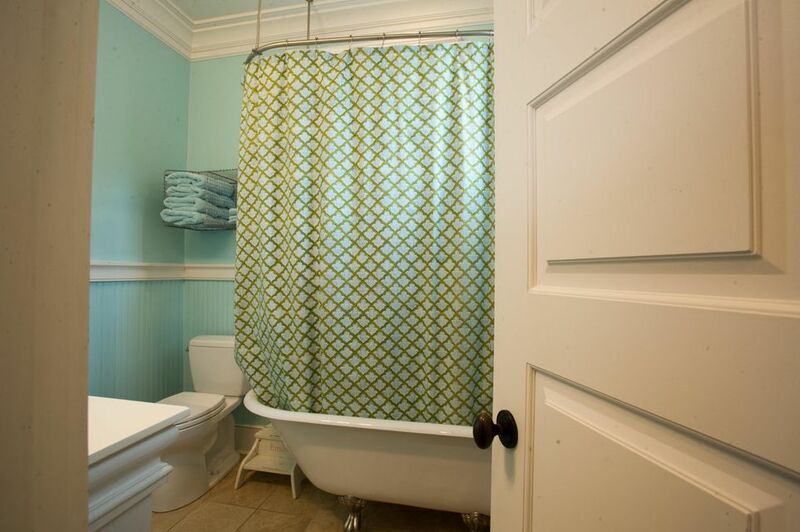 There is a separate 650 sq. 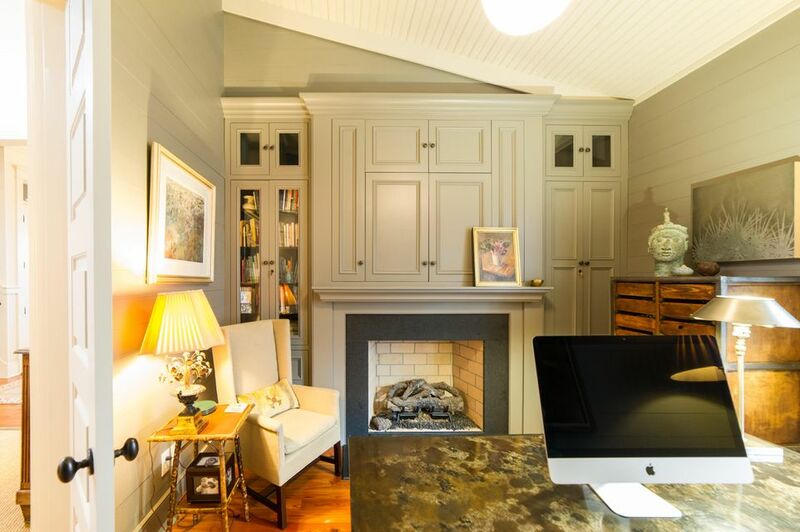 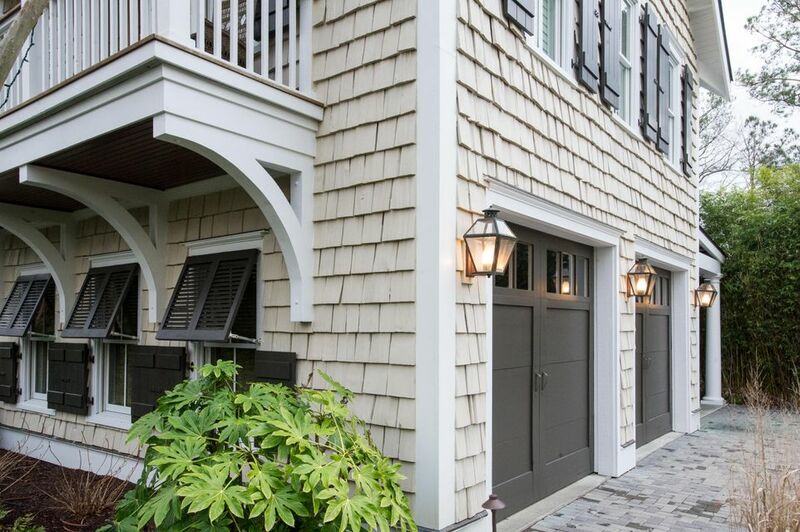 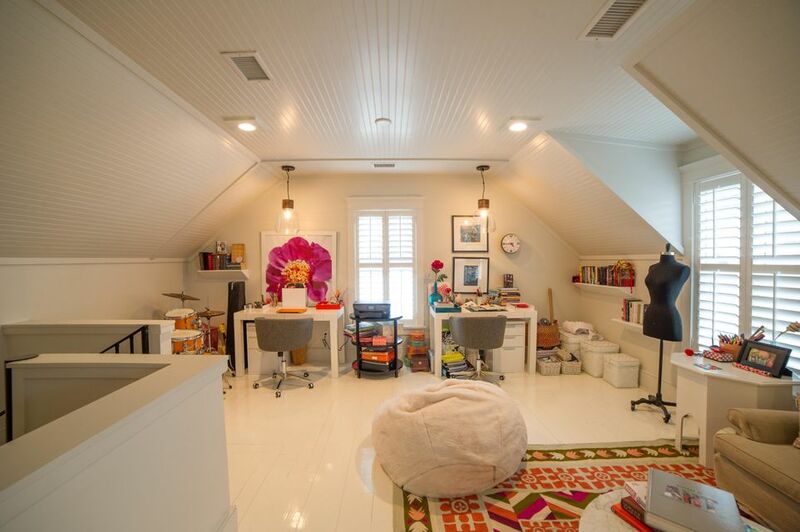 ft. carriage house over the expansive two-car garage which provides for a fifth bedroom and bath, perfect for guests staying longer or for an au-pair. 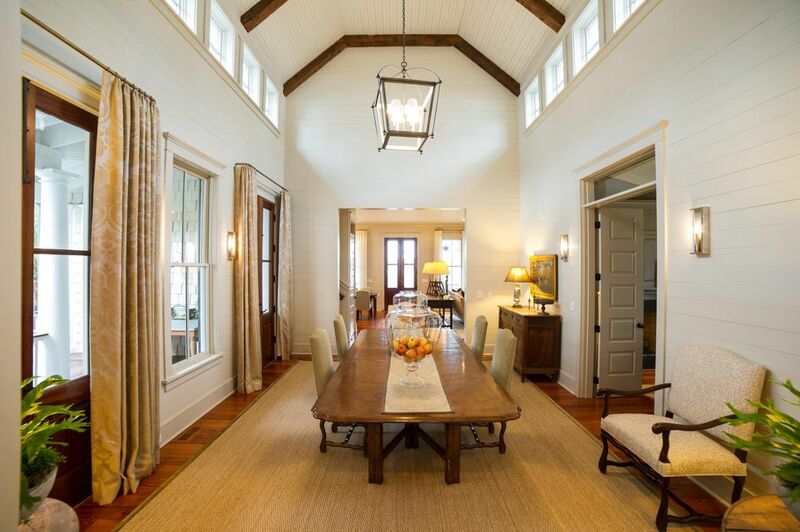 The fine finishes from the main house continue in this space with vaulted ceiling, a mini kitchen and heart pine flooring. 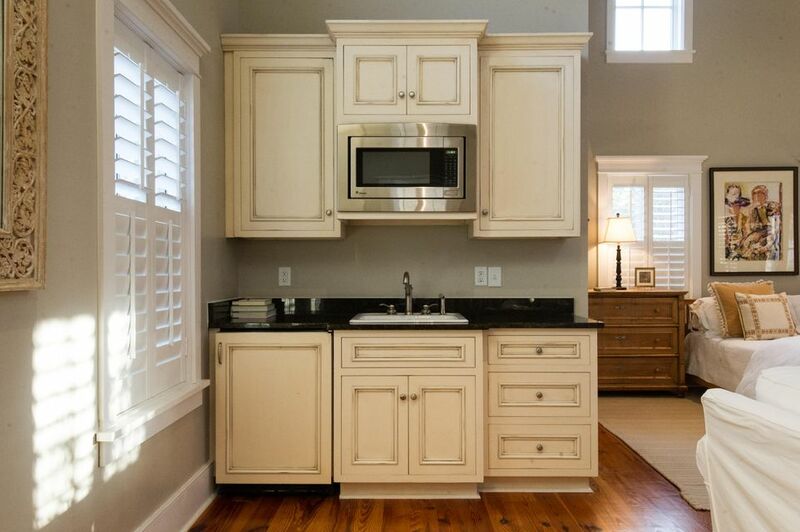 These units are also popular as rentals for extra income. 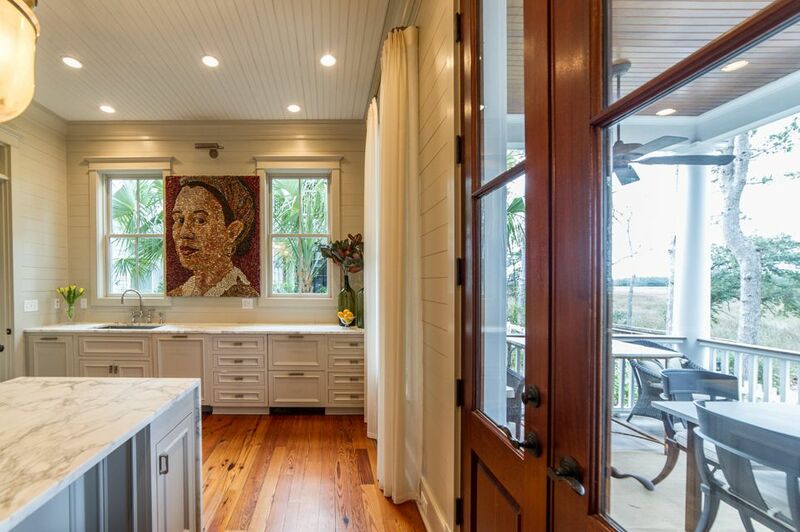 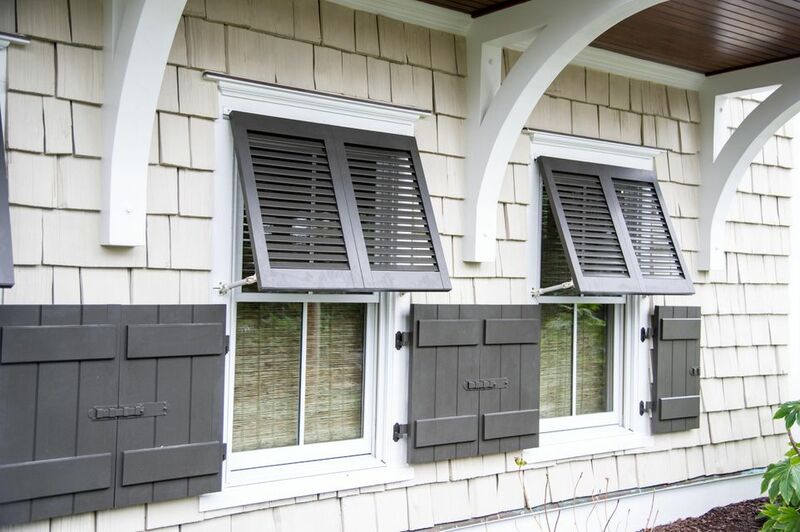 Other features of the home include: the heated saltwater pool, special yard lighting, full irrigation system, a Buzz Off Mosquito System, plantation shutters on the interior and barn shutters on the exterior and over 1850 sq. 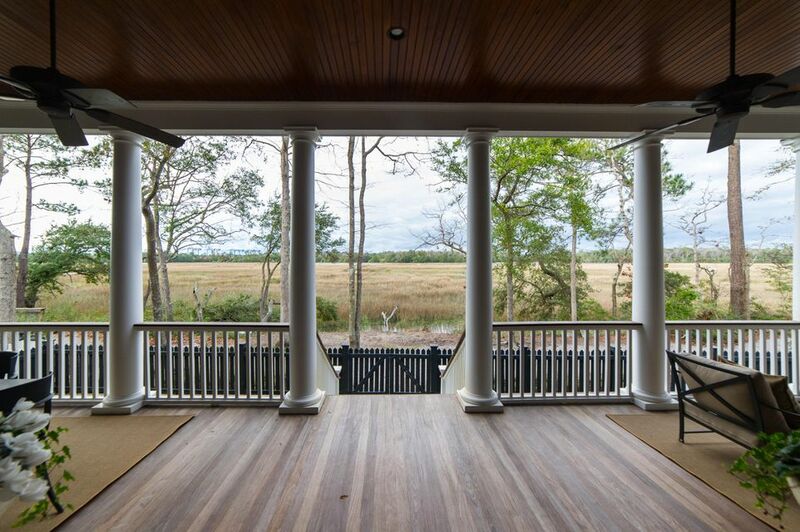 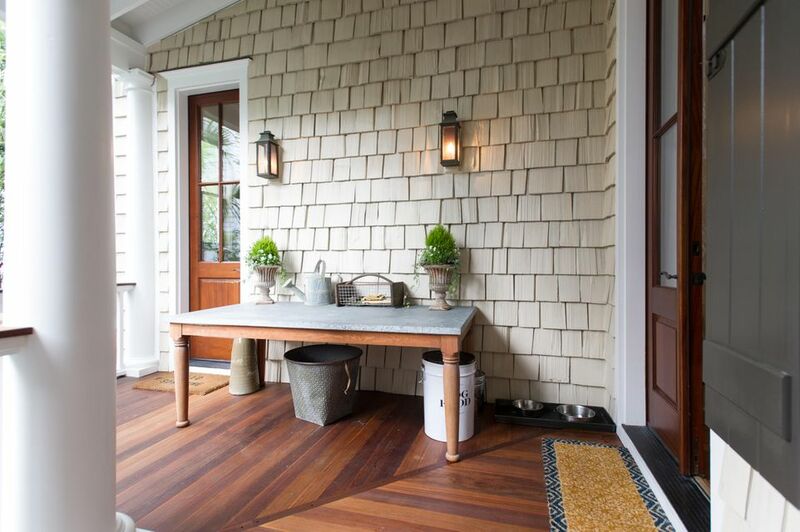 ft. of Ipe decked porches. 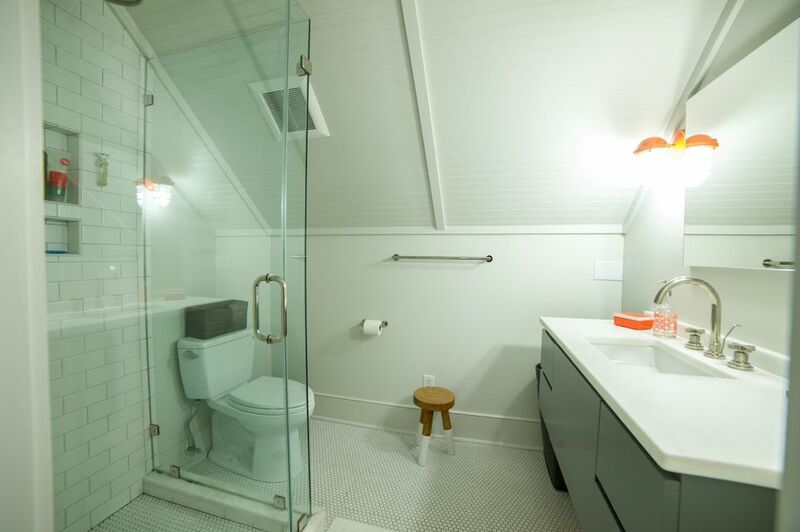 The home also boasts energy efficiency with three tankless hot water heaters, spray foam insulation in all floors, walls and roof, and a sealed crawlspace. 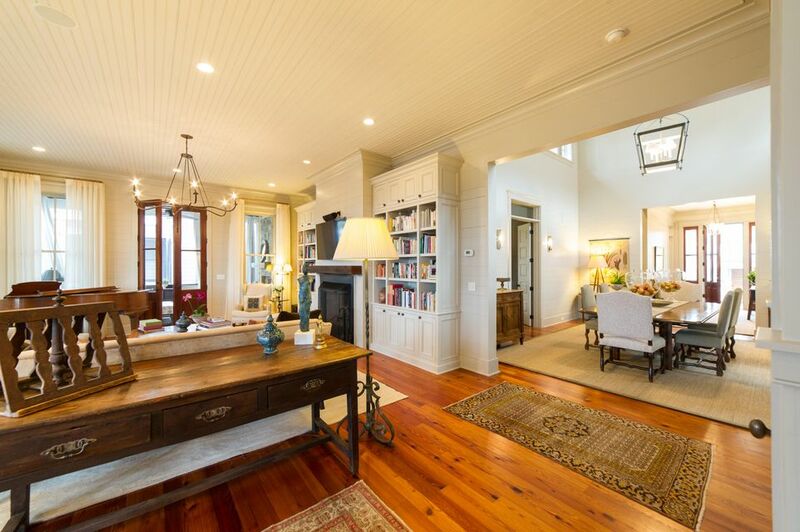 Built in 2007 by Sheppard Construction, the home was already one of the finest to be built in I'On but has just recently undergone an extensive and exquisitely done renovation by its current owner to bring it forward to today's tastes and style. 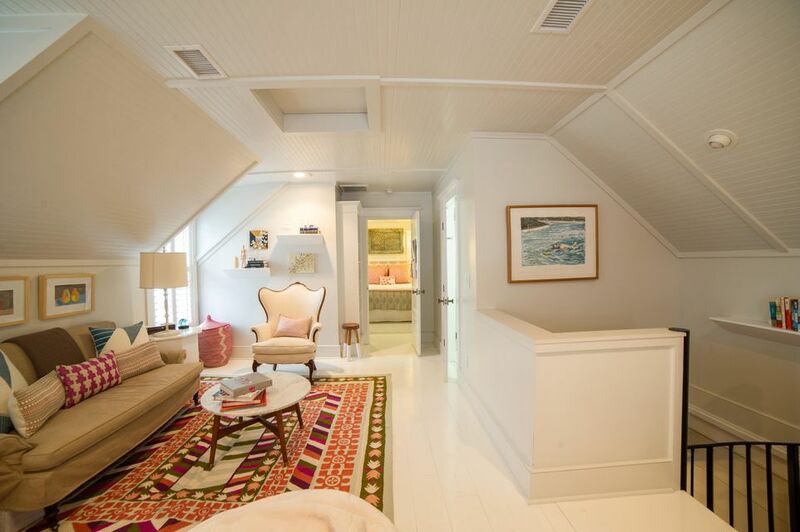 This one will not disappoint the most discriminating of buyers. 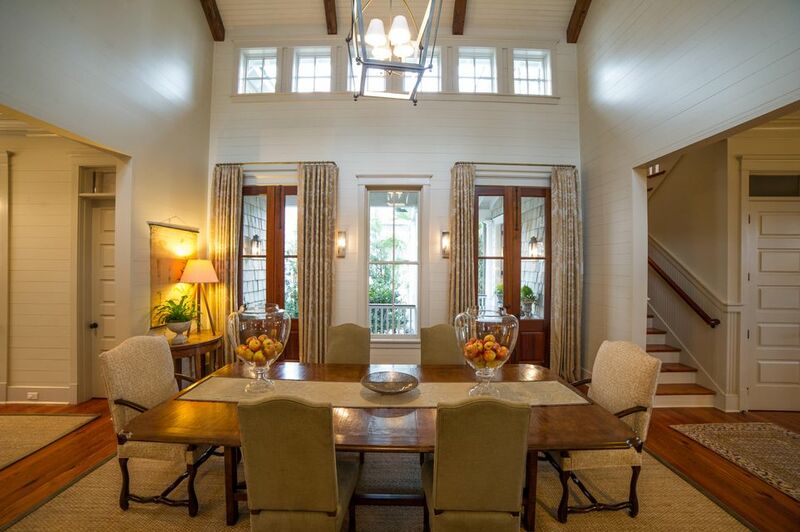 Buyers pay .15% of sales price and Sellers pay .1% as transfer fees at closing. 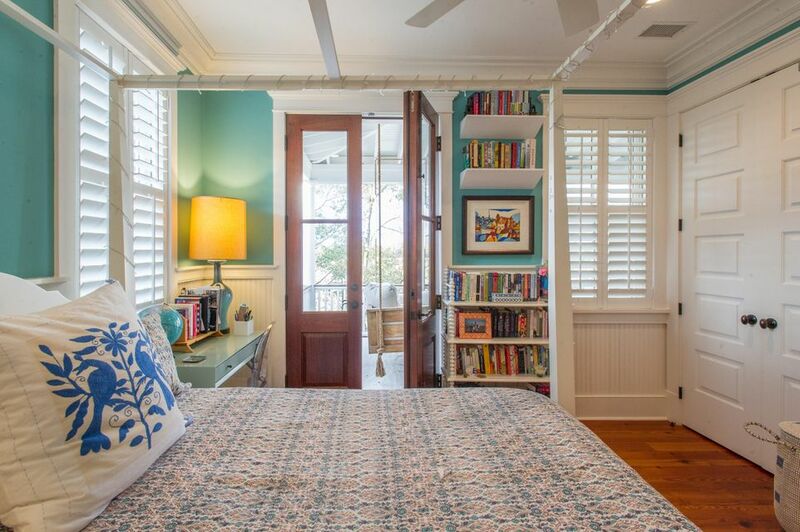 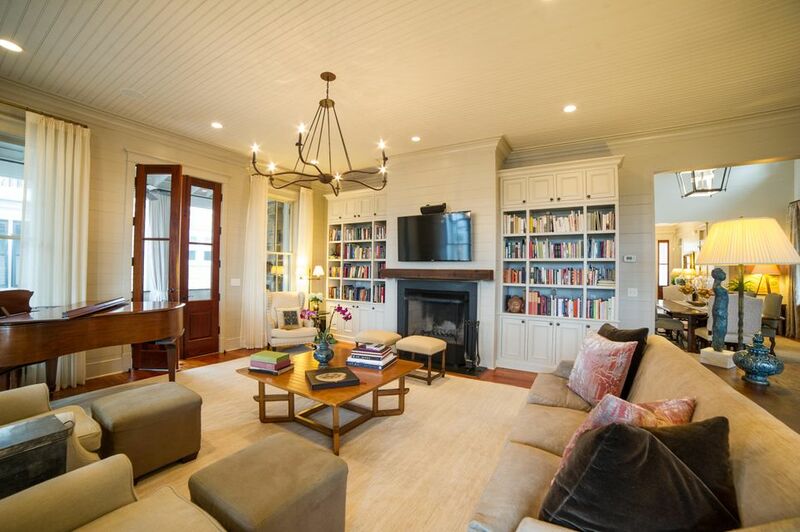 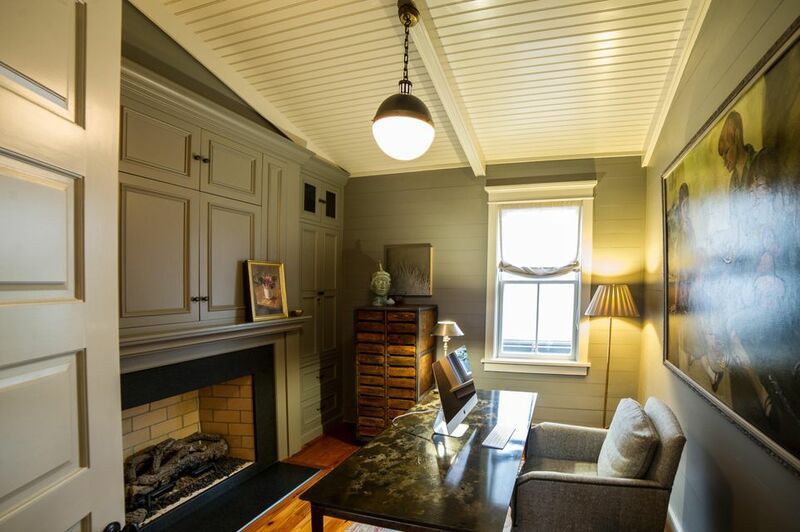 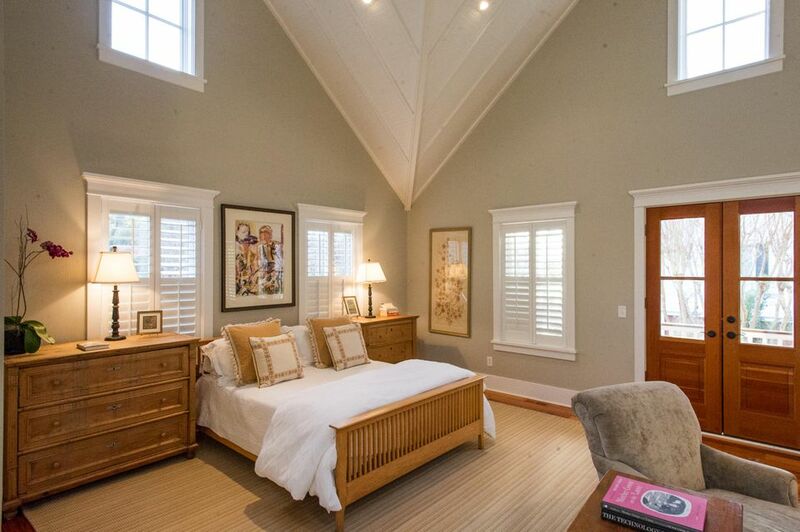 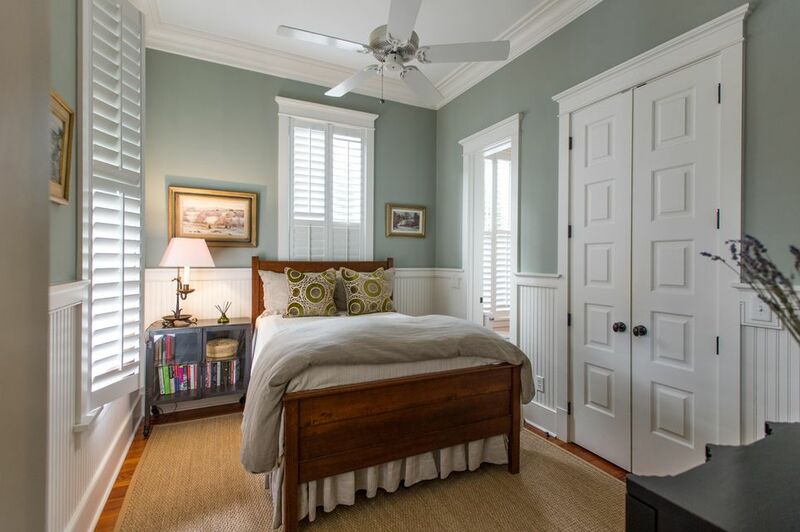 Bedroom and bath count include detached carriage house.